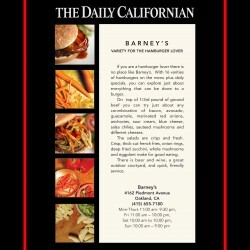 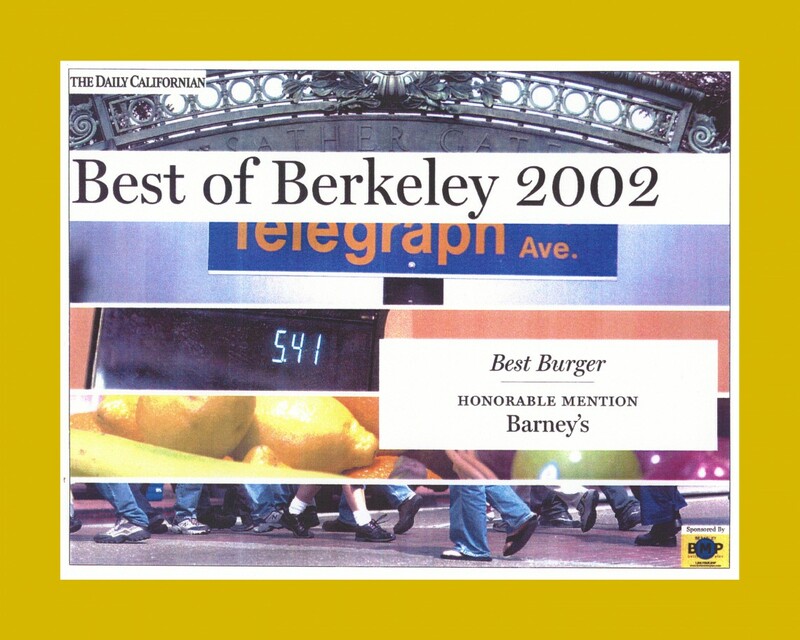 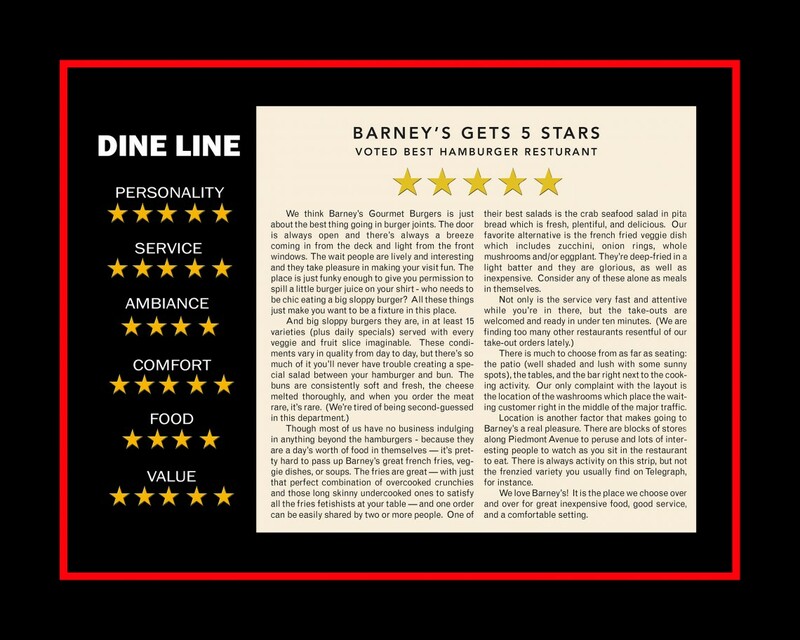 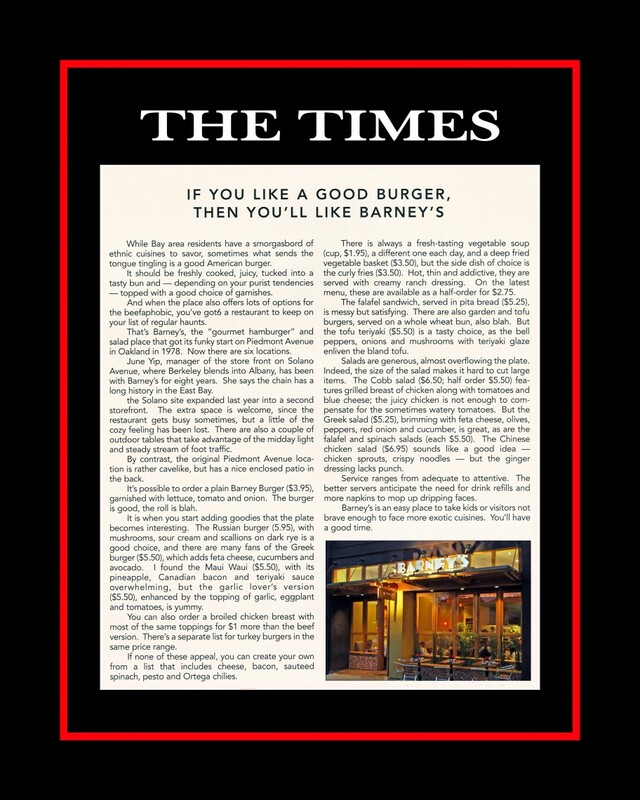 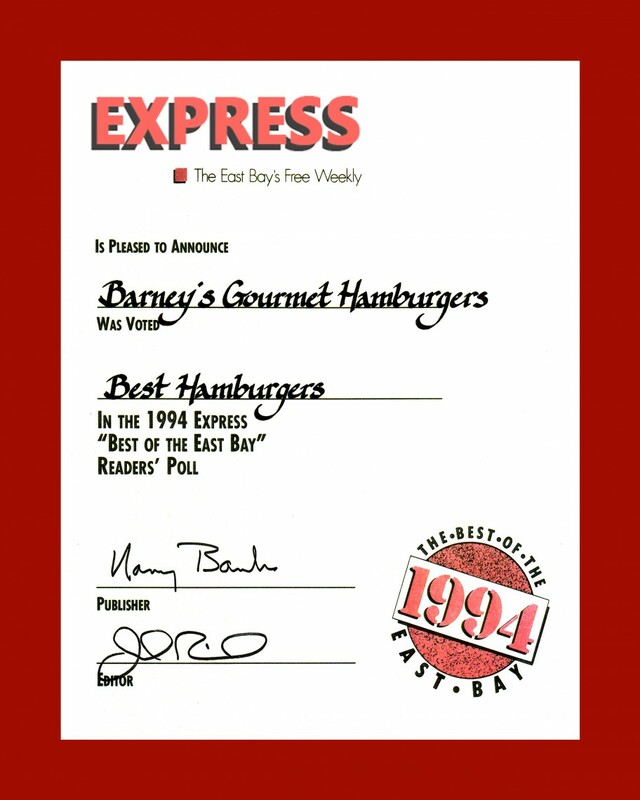 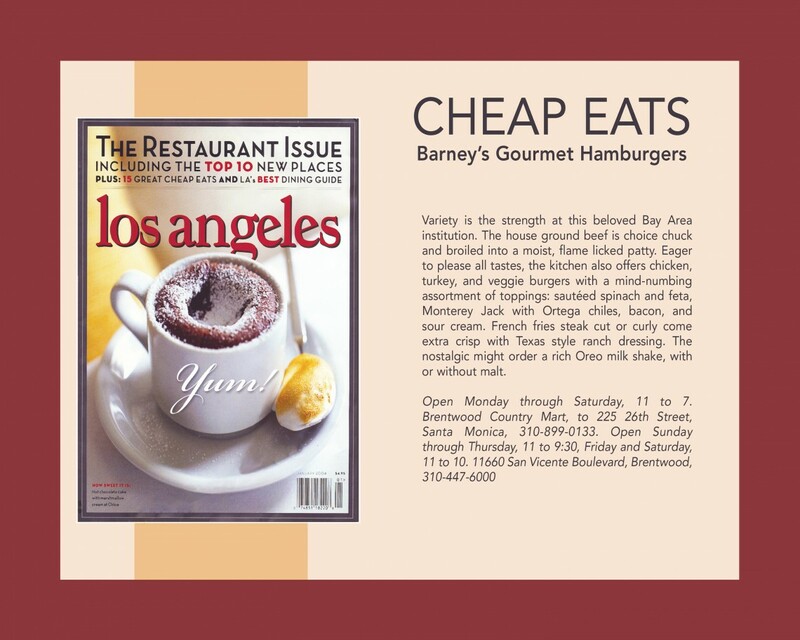 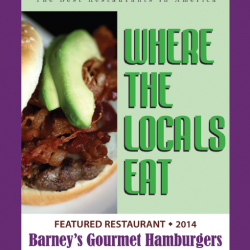 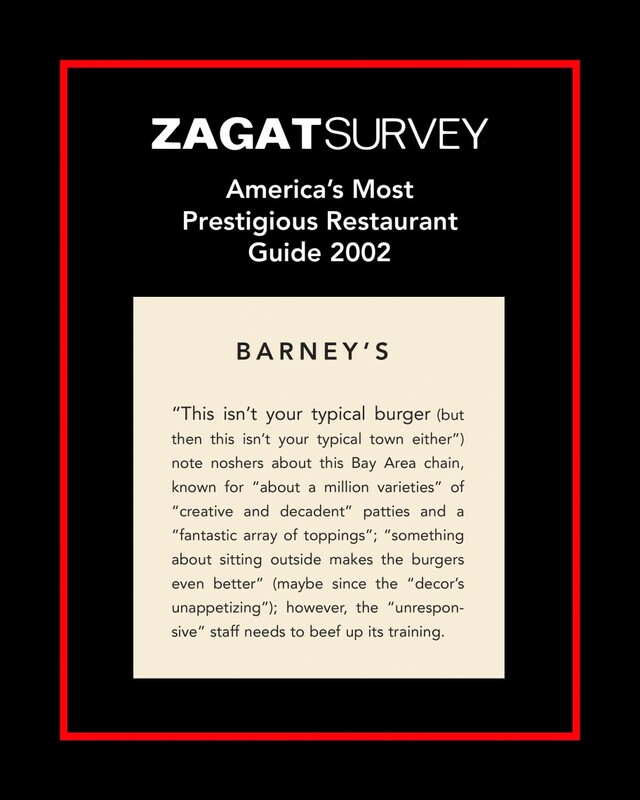 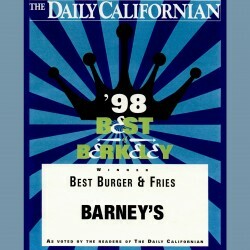 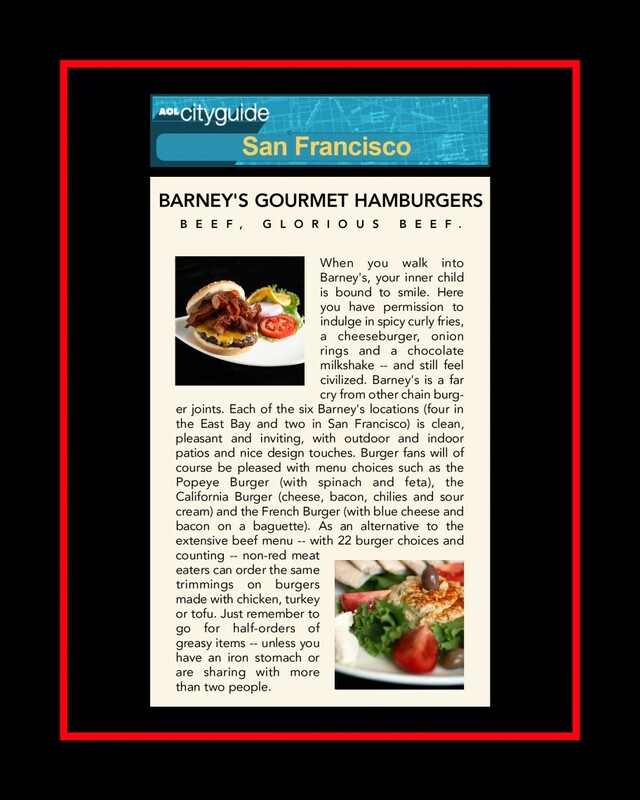 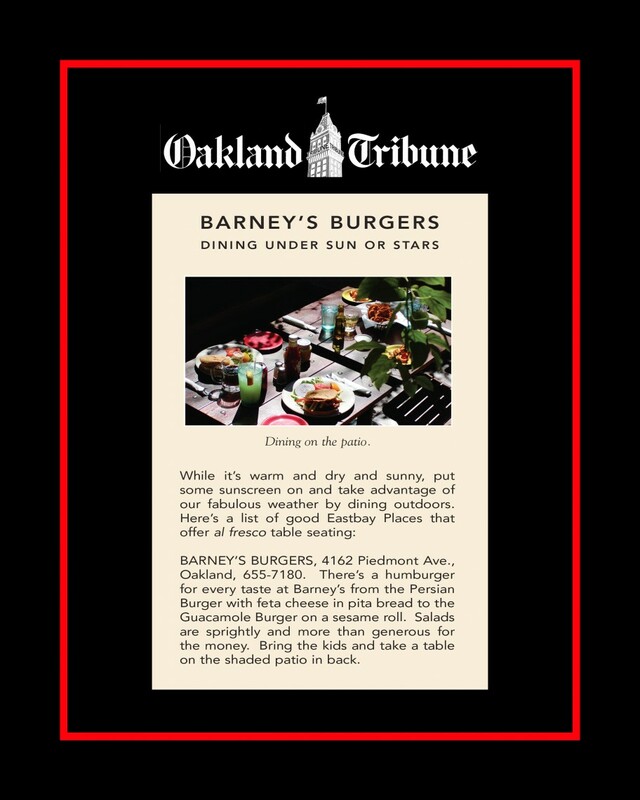 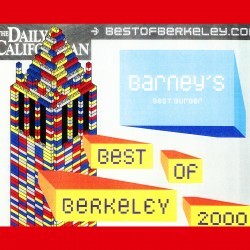 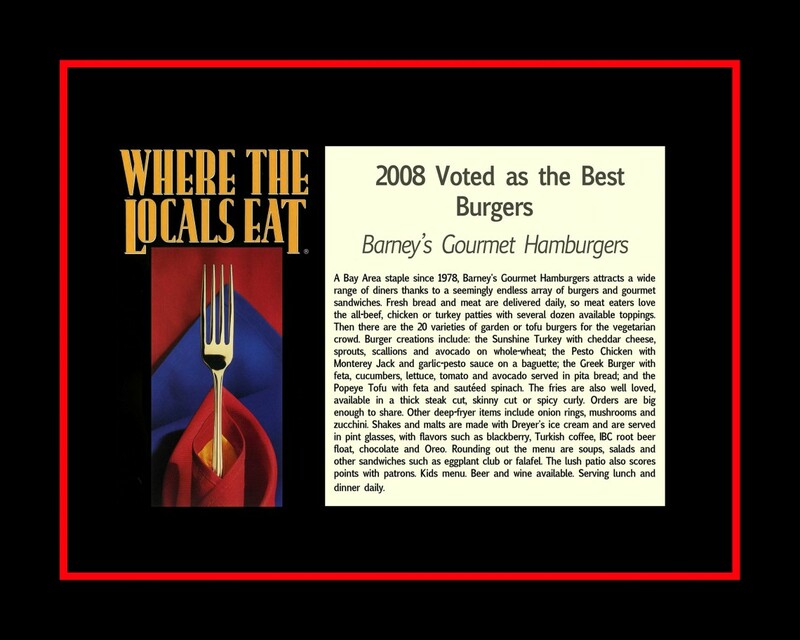 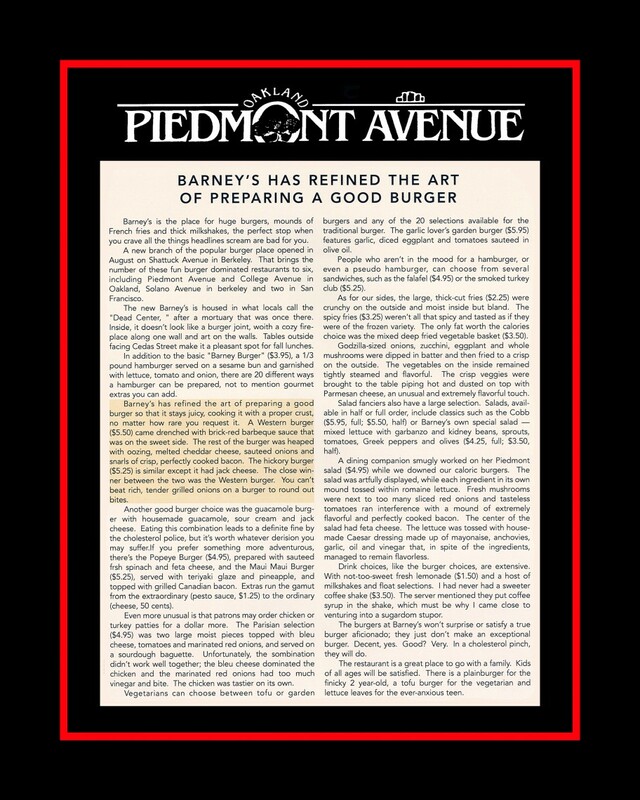 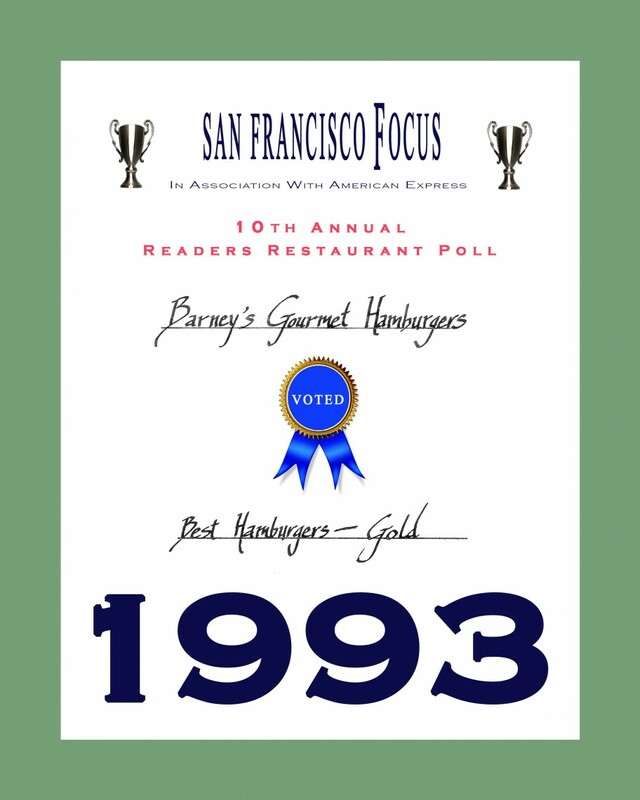 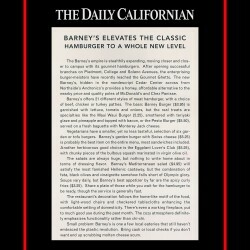 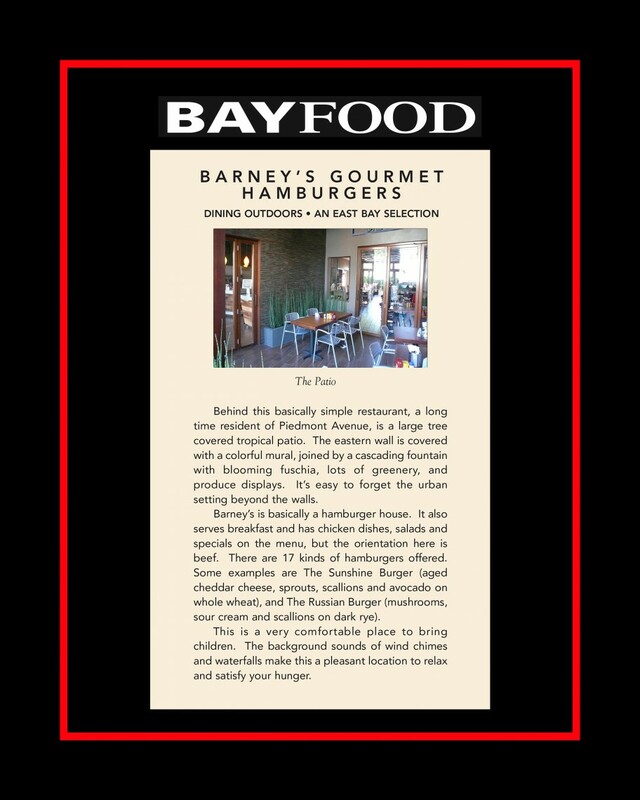 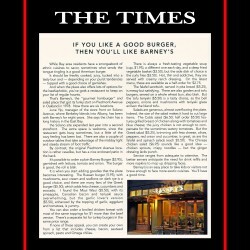 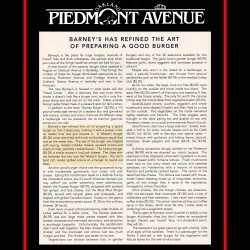 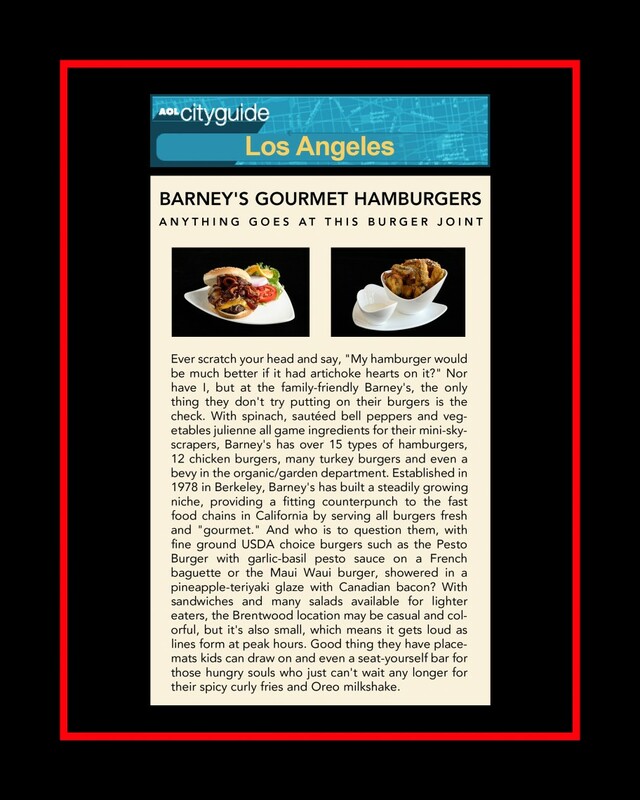 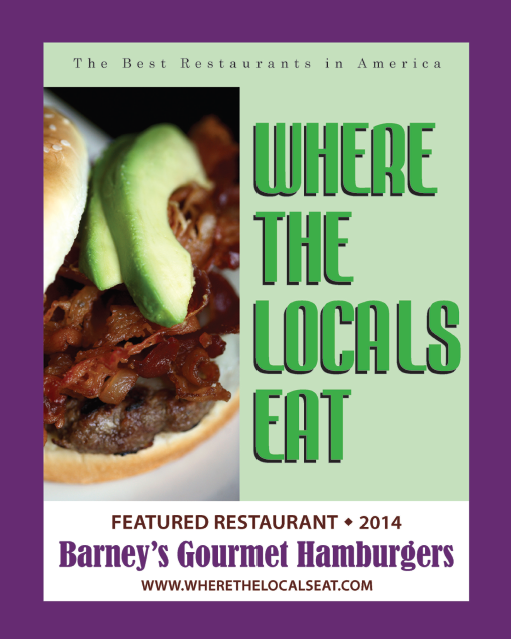 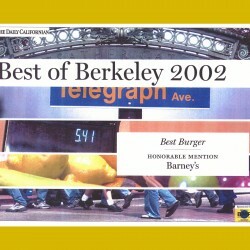 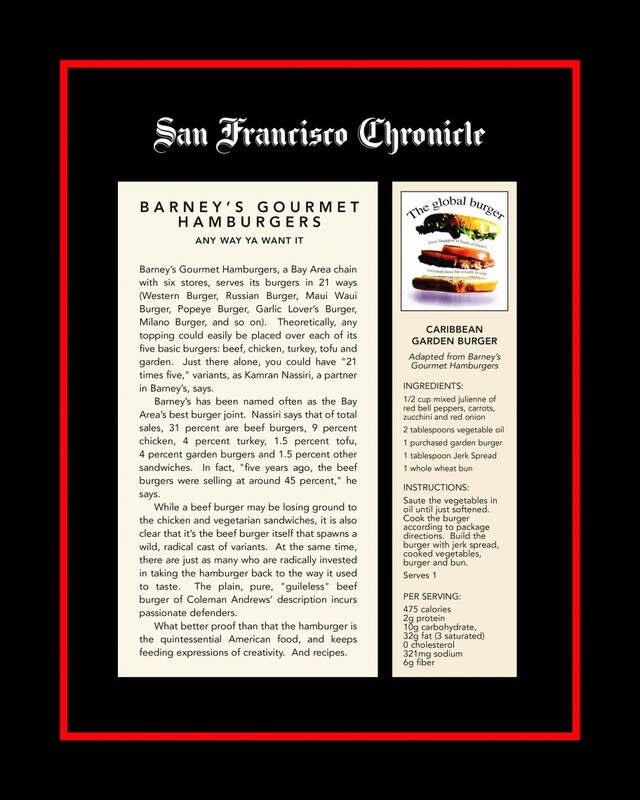 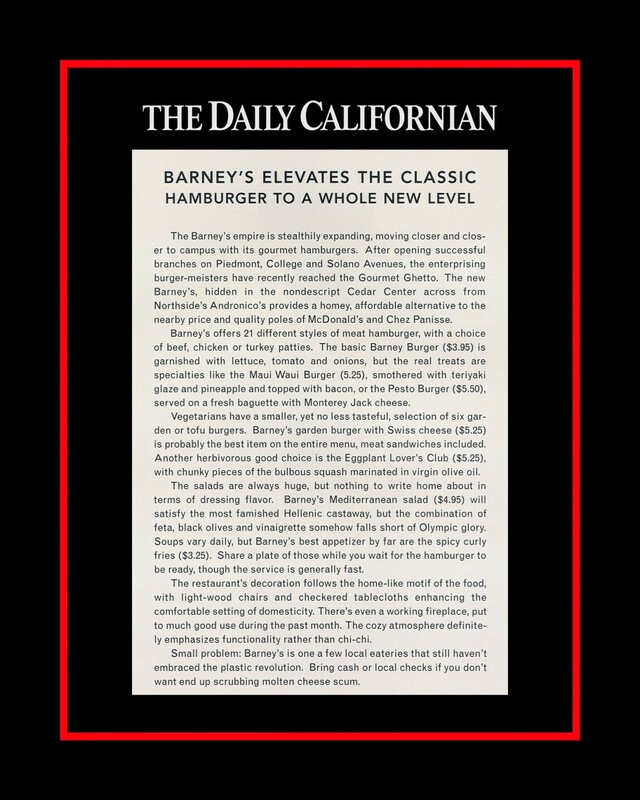 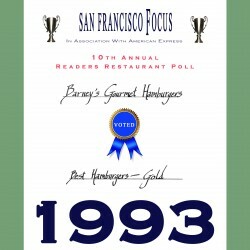 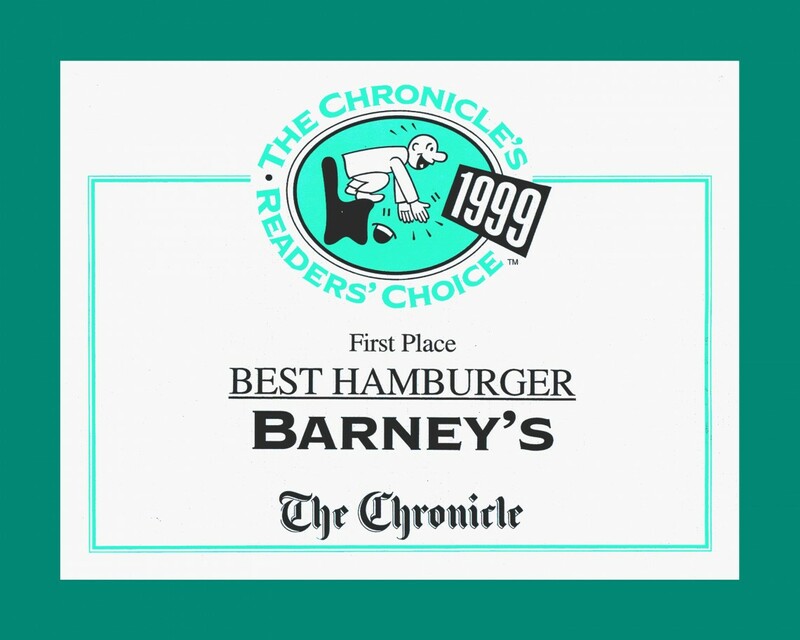 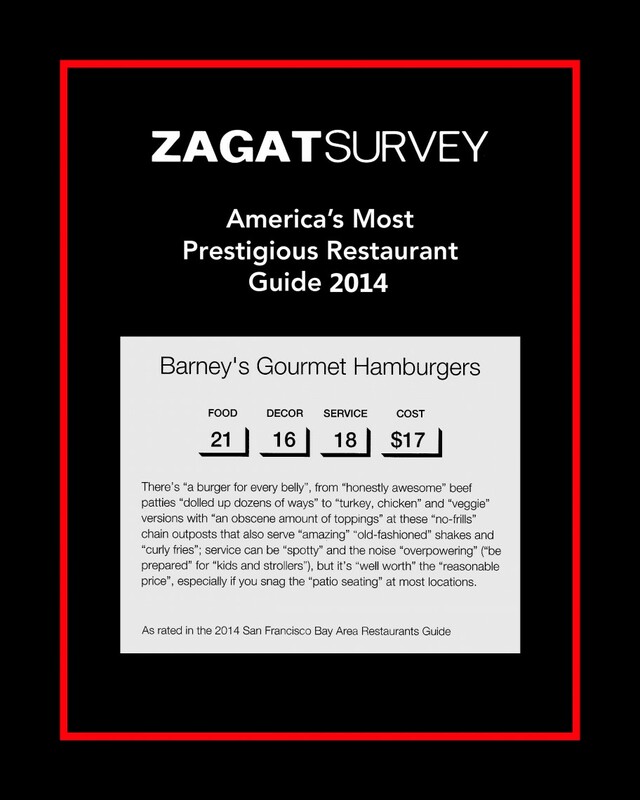 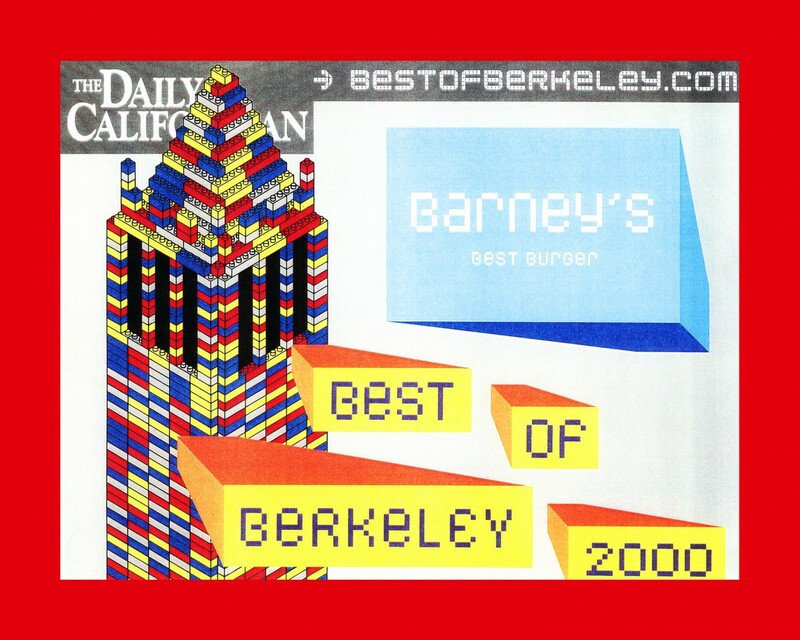 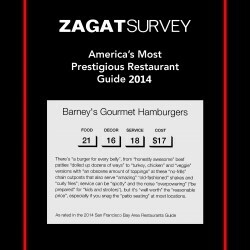 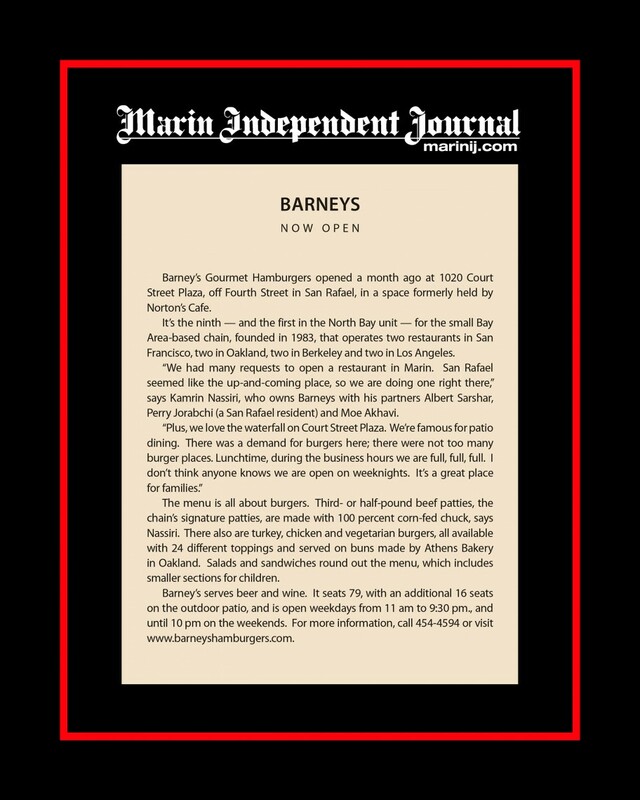 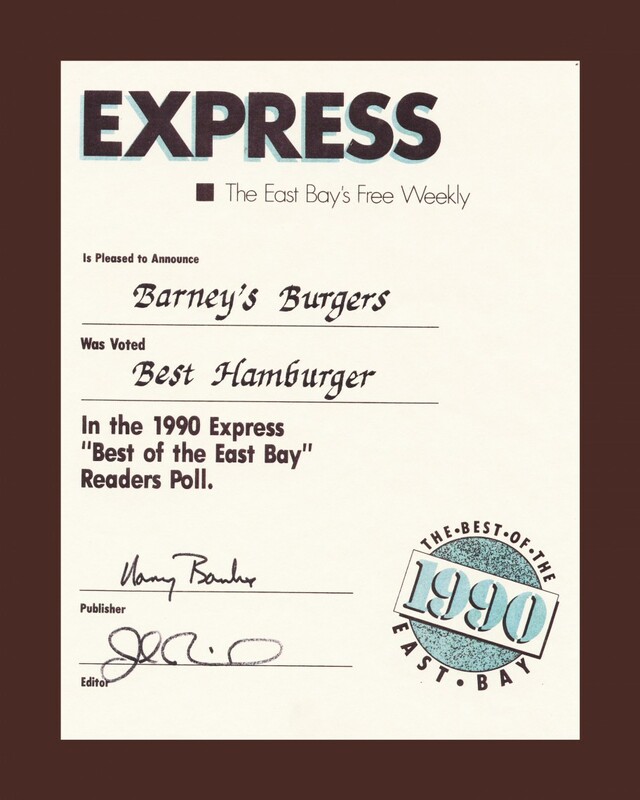 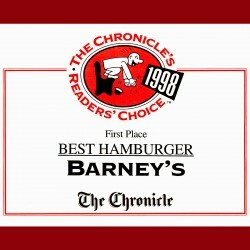 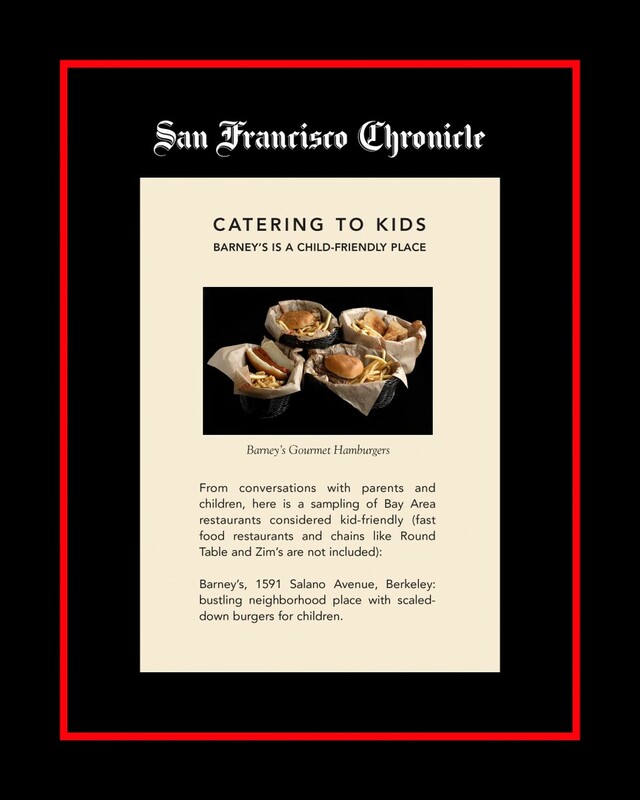 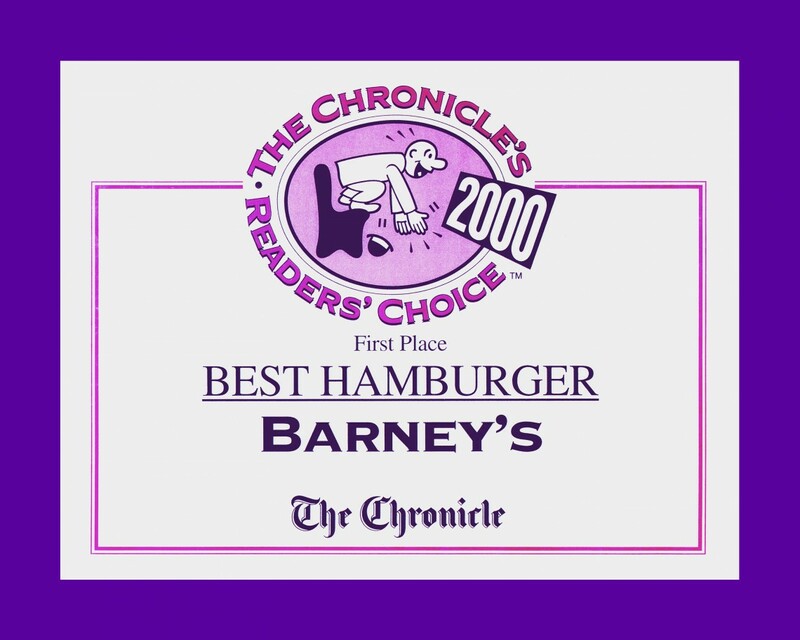 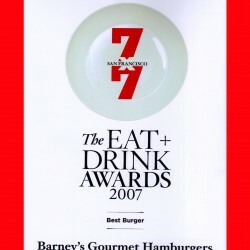 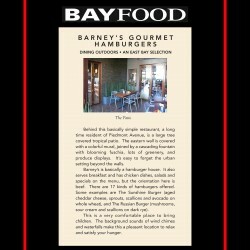 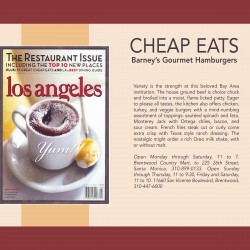 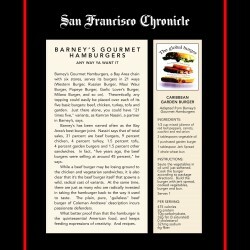 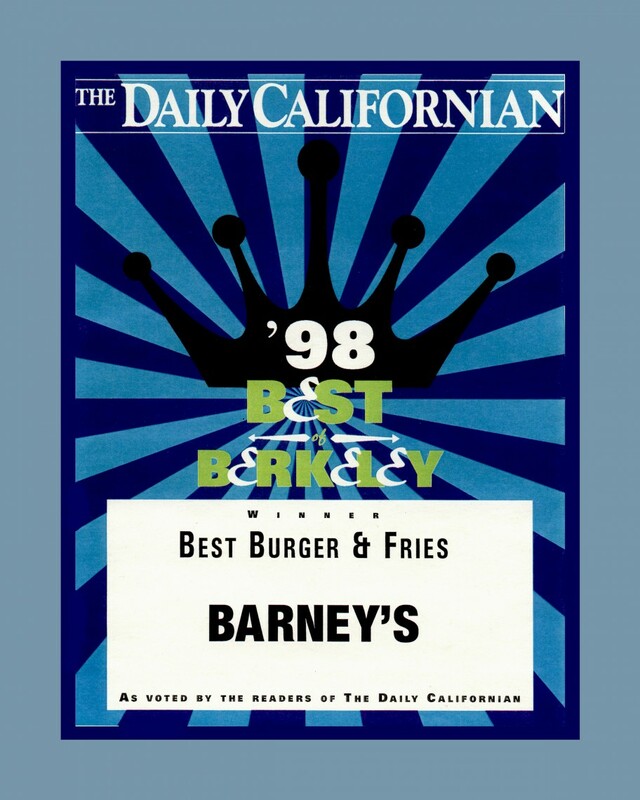 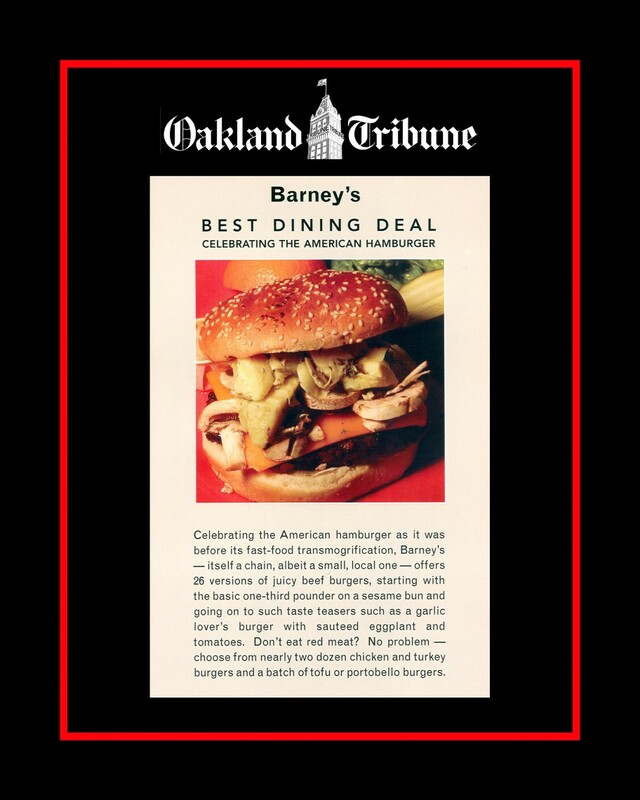 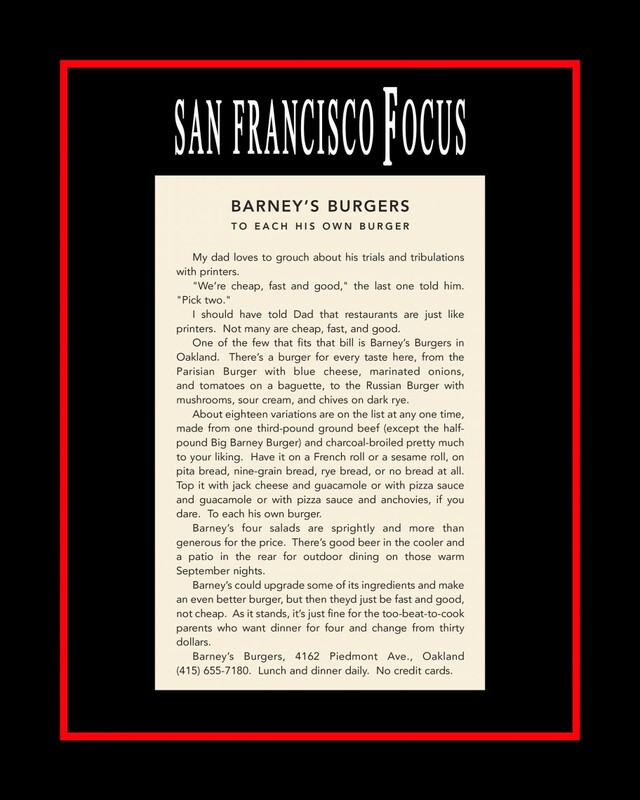 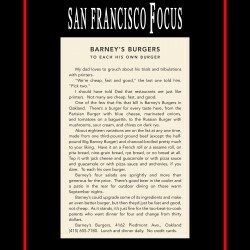 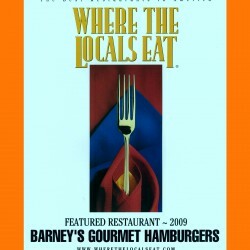 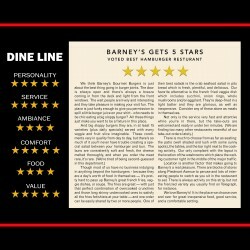 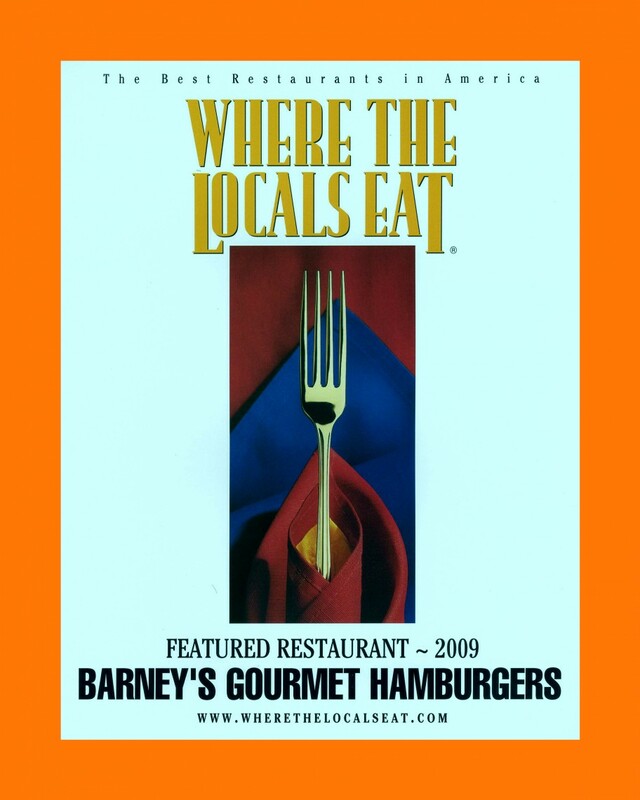 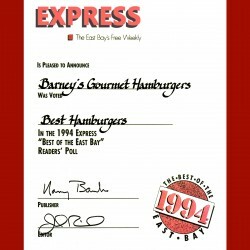 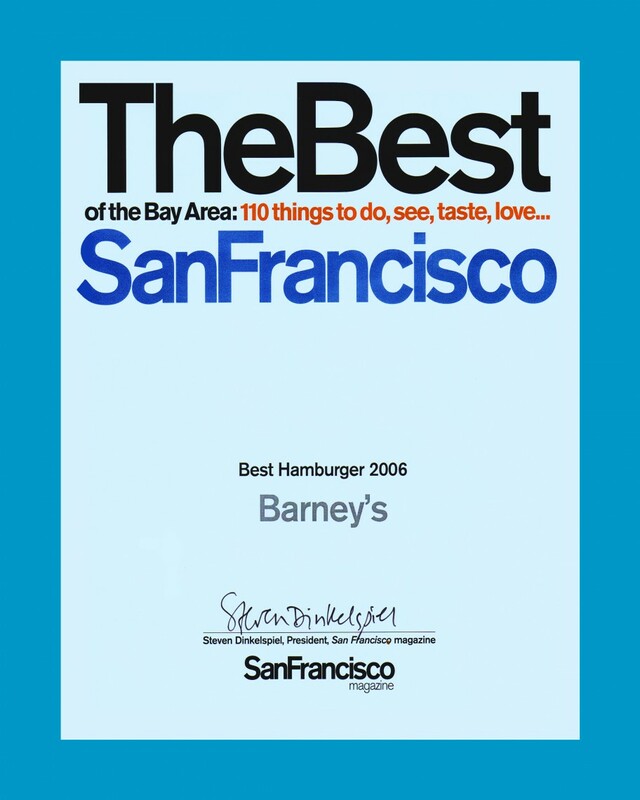 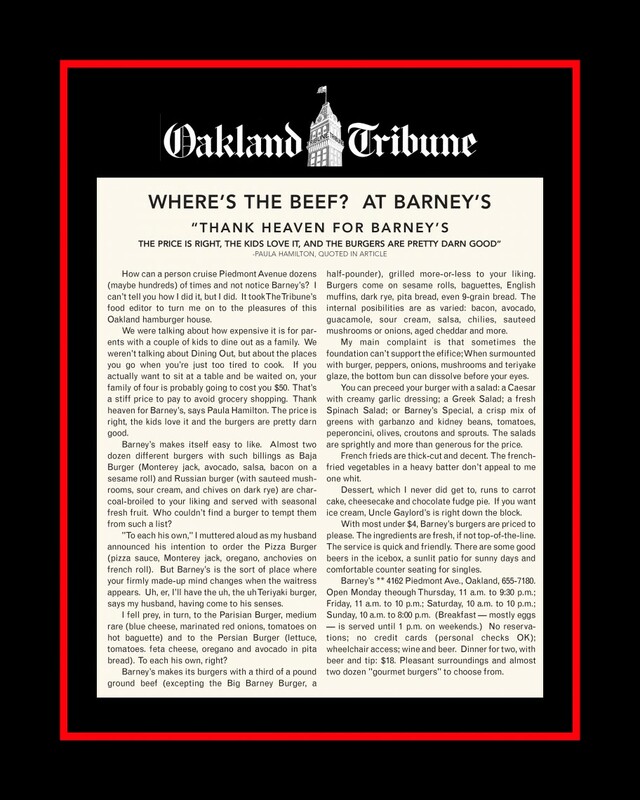 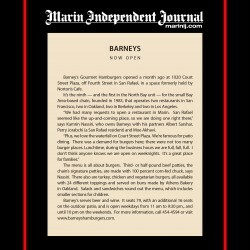 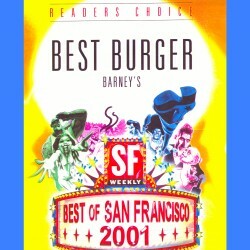 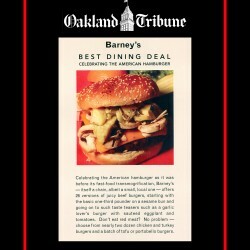 Barney's has been making the best burgers around since 1978, long before the idea of a gourmet burger existed anywhere else! 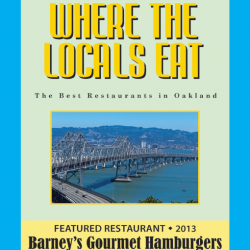 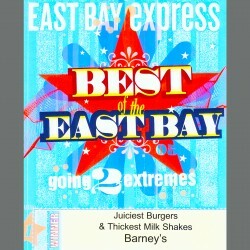 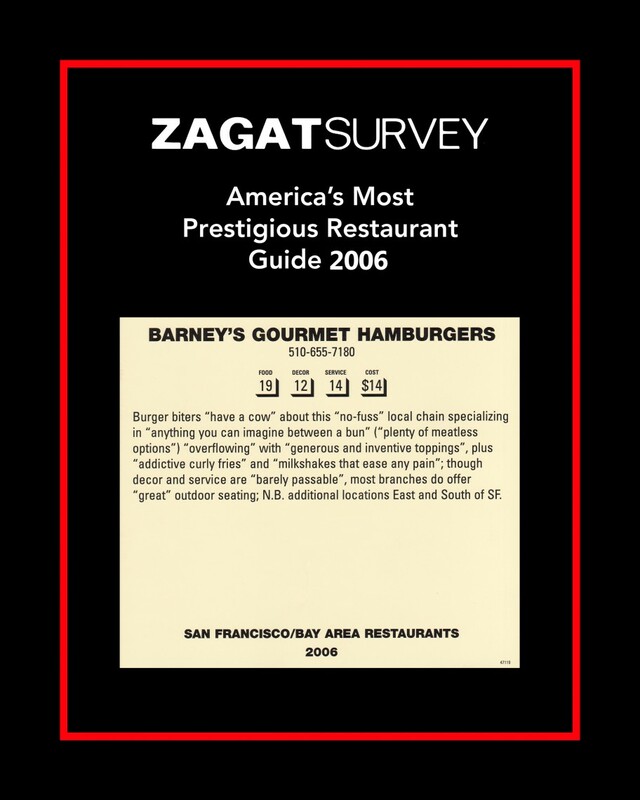 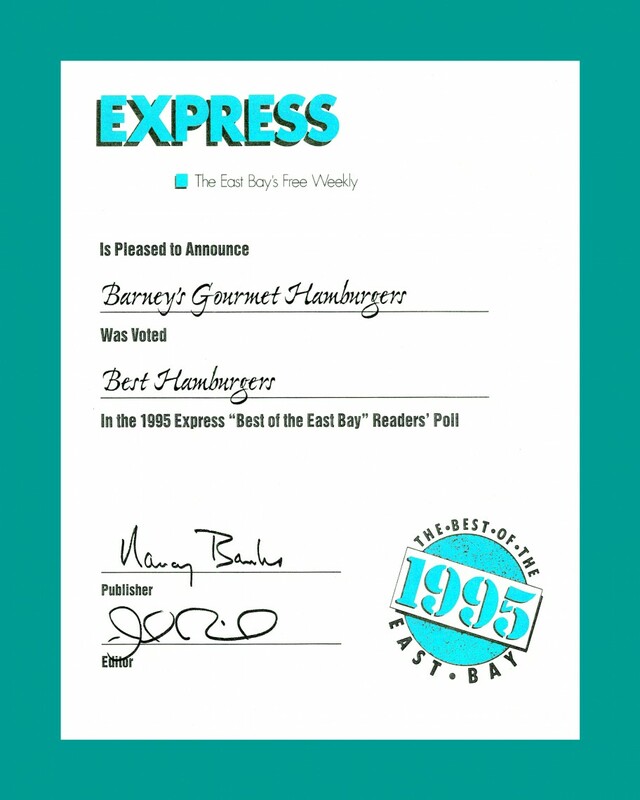 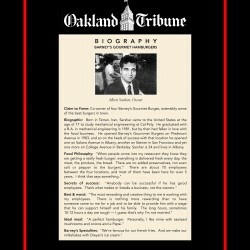 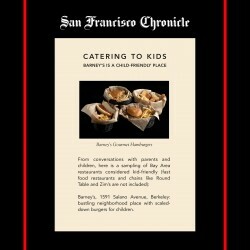 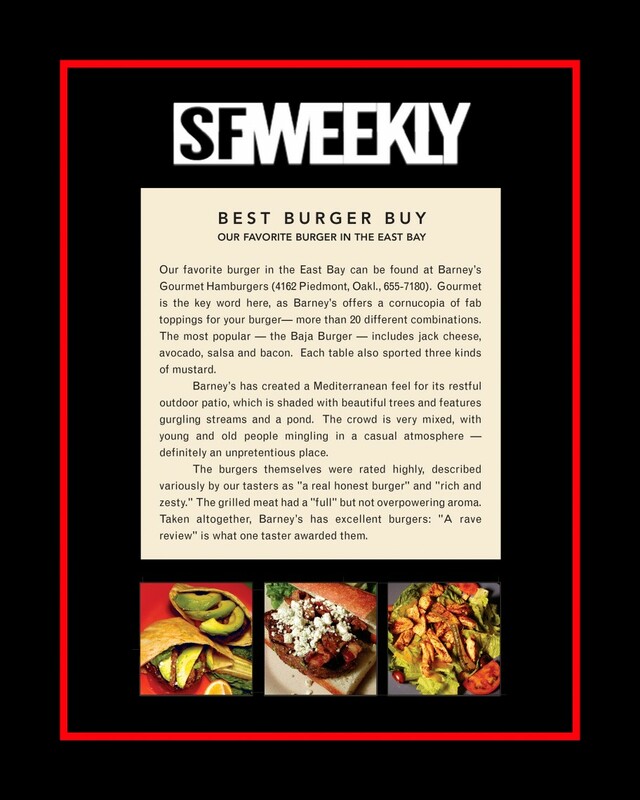 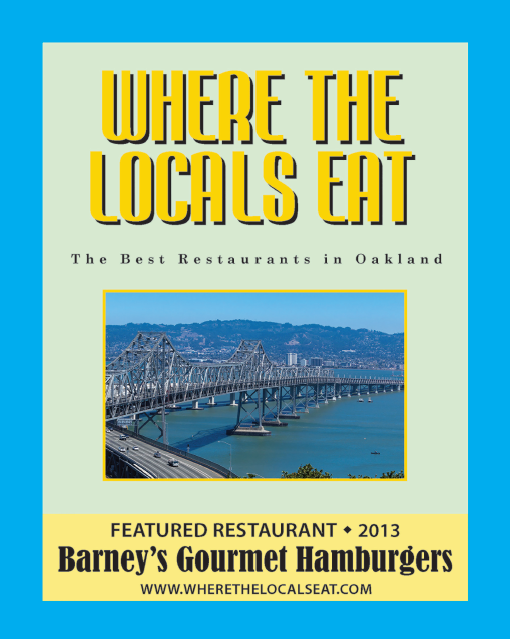 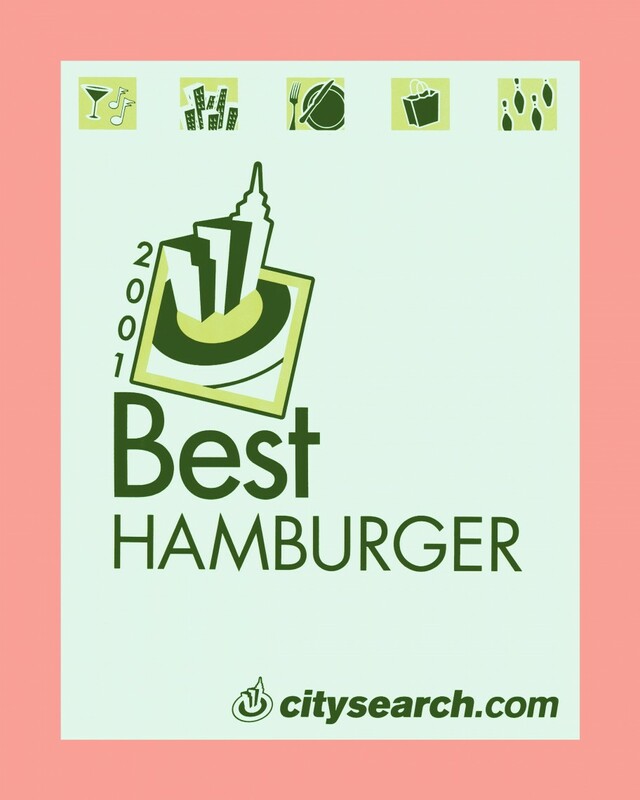 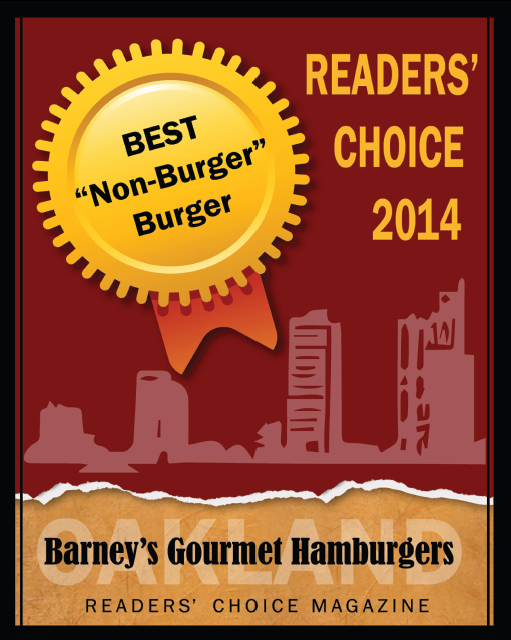 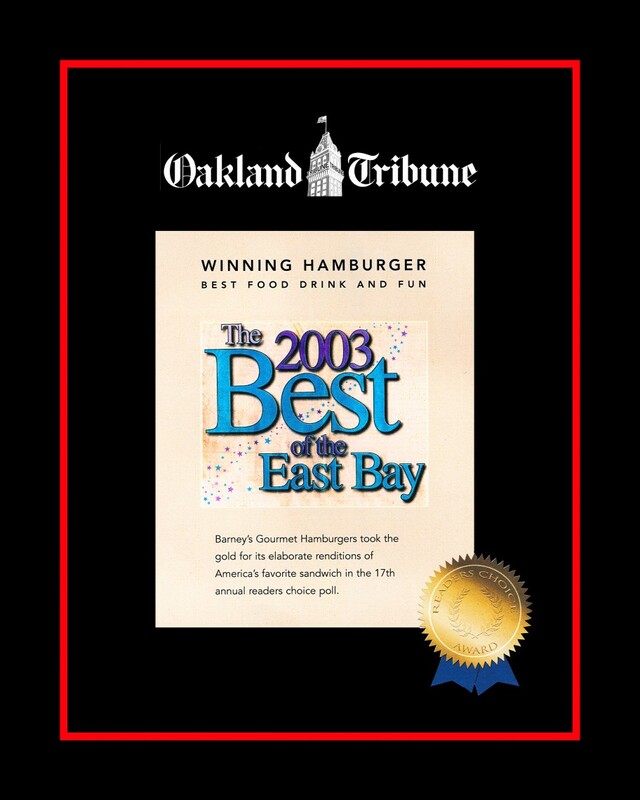 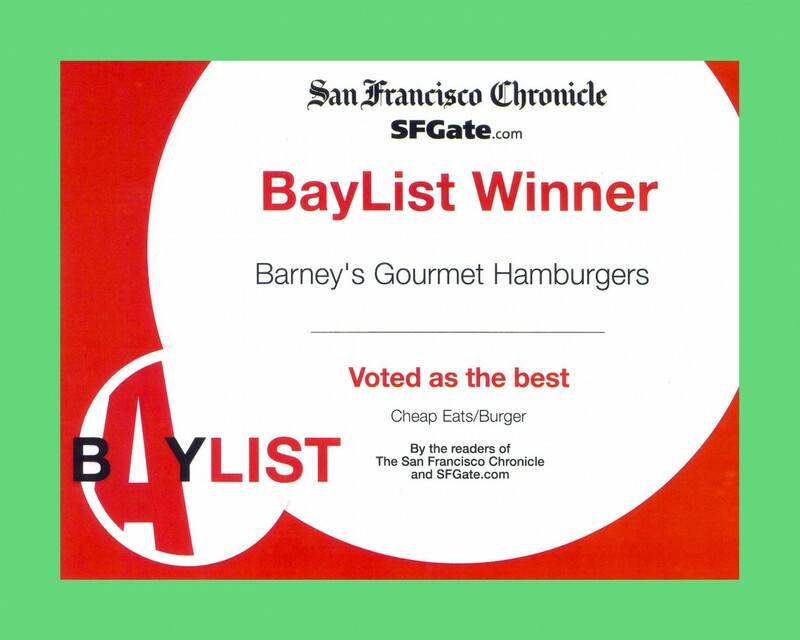 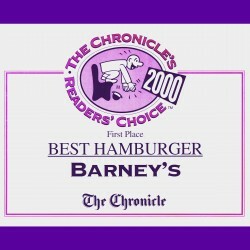 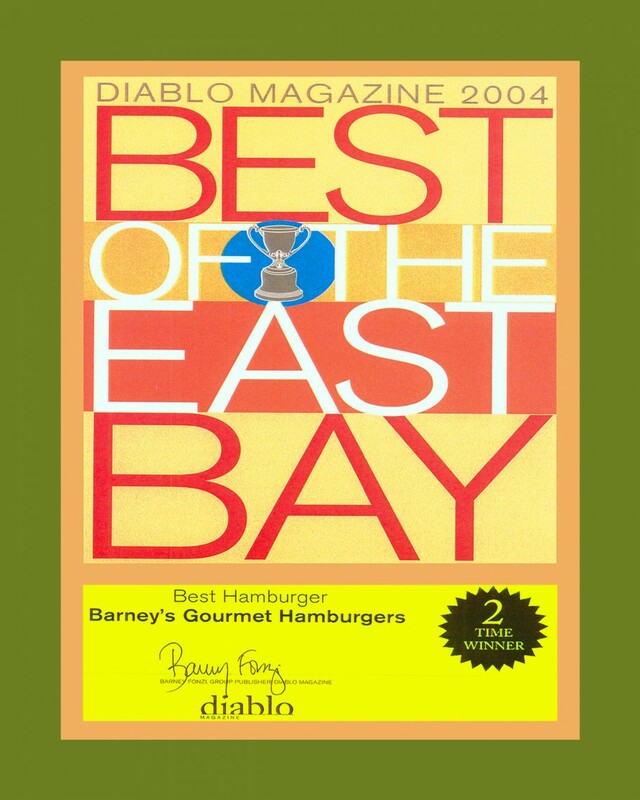 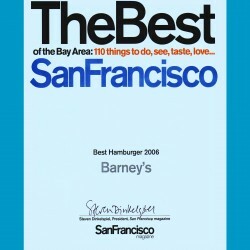 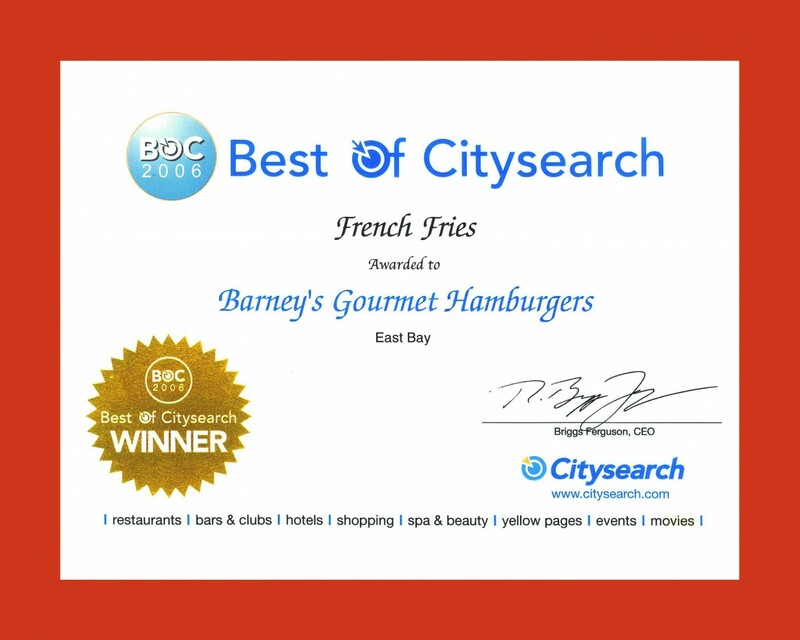 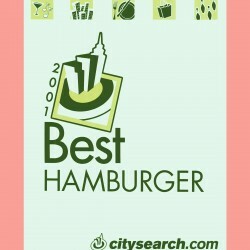 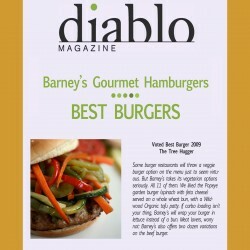 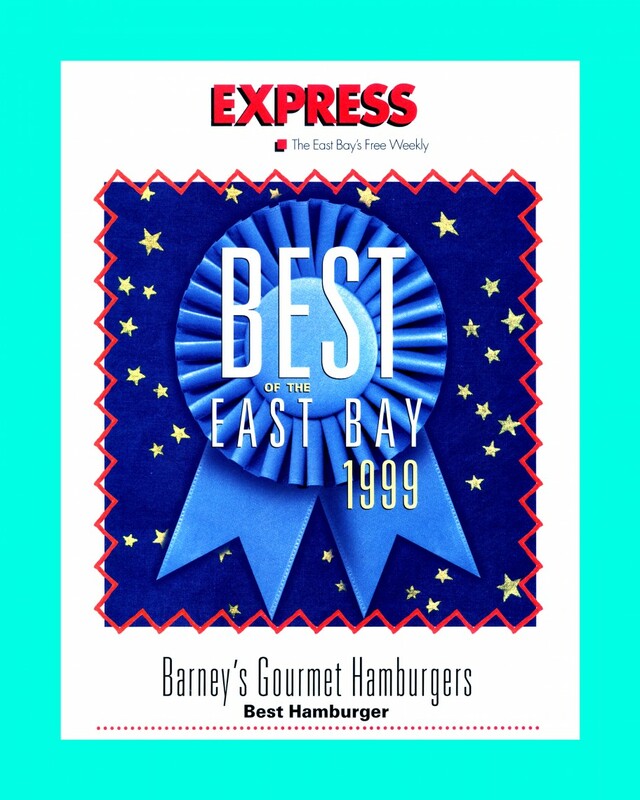 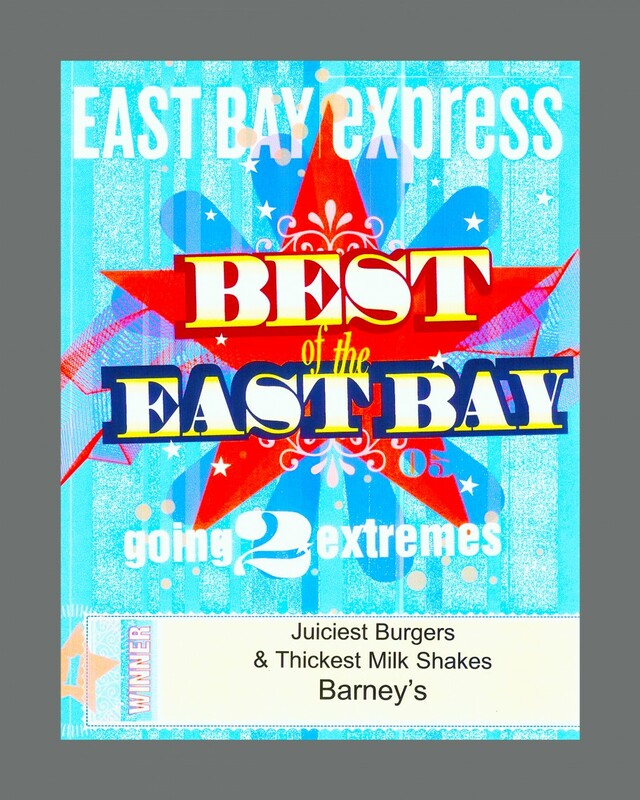 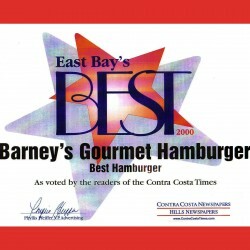 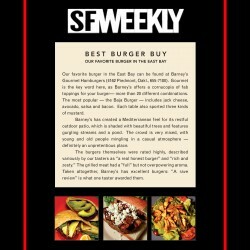 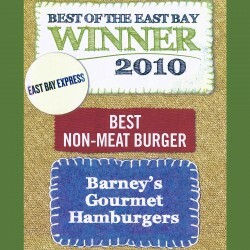 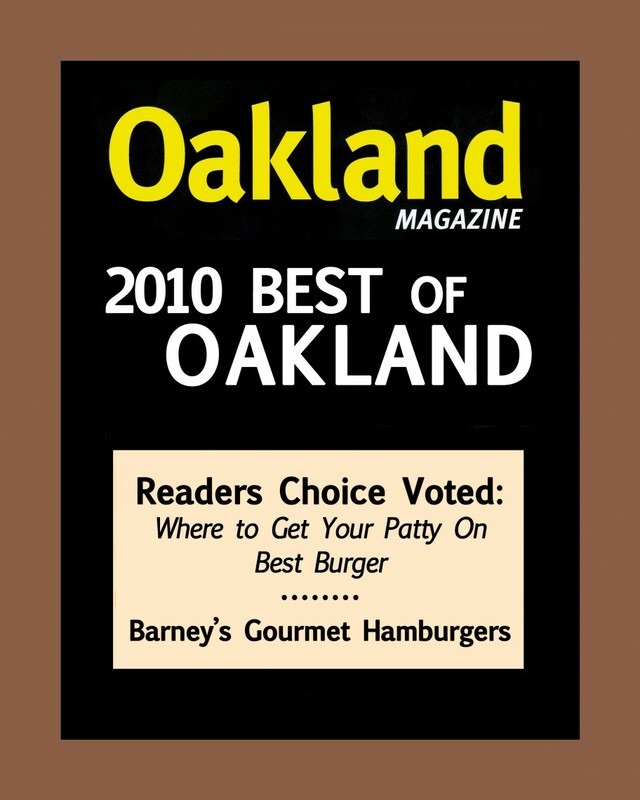 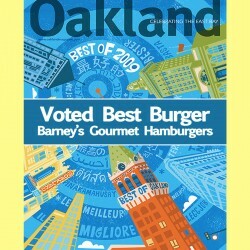 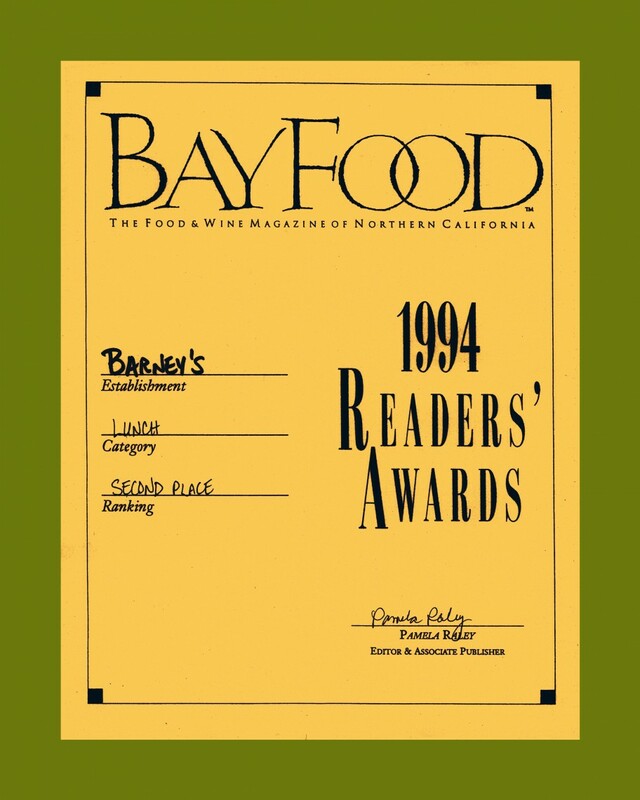 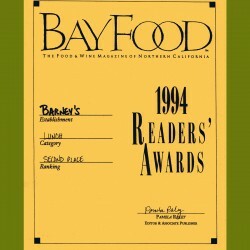 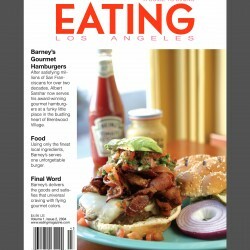 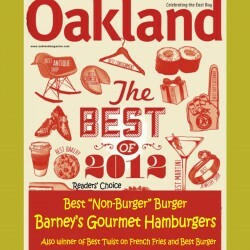 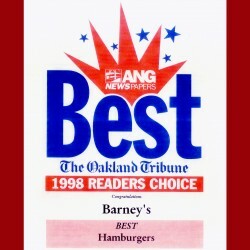 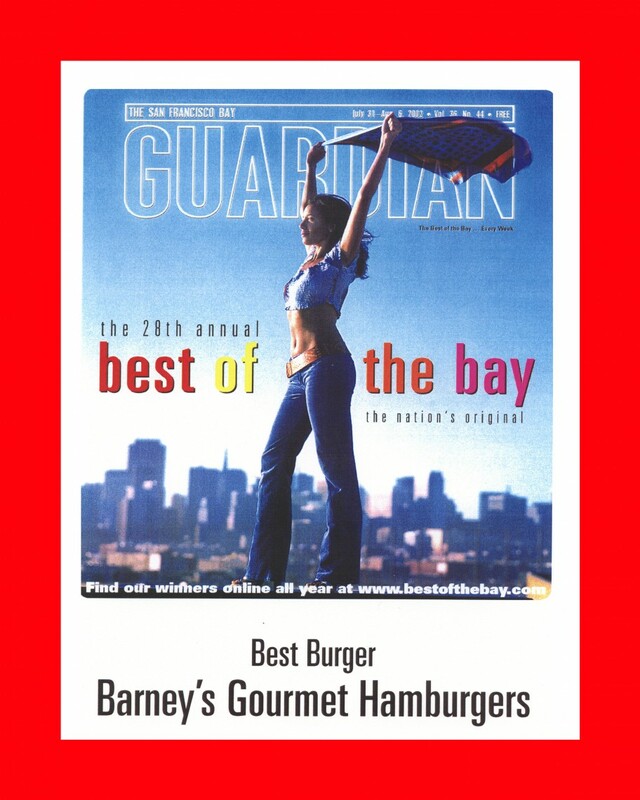 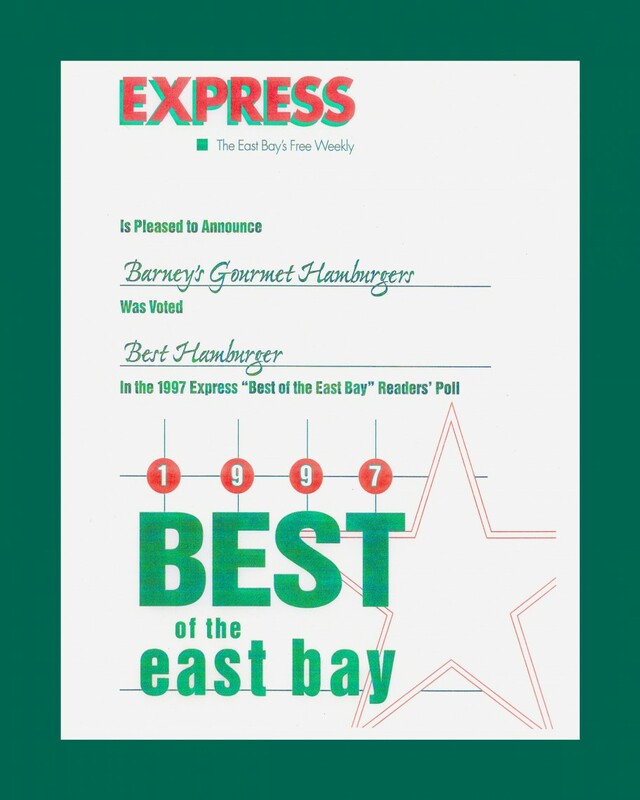 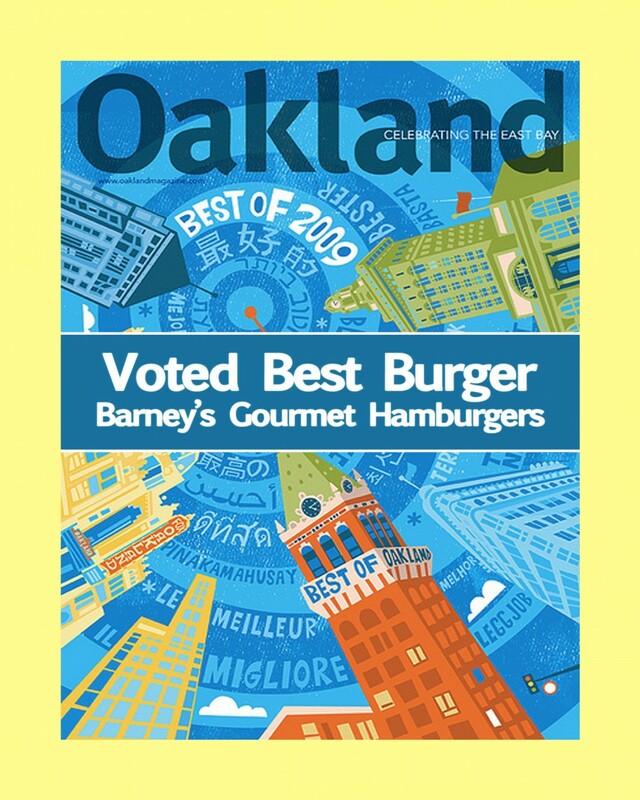 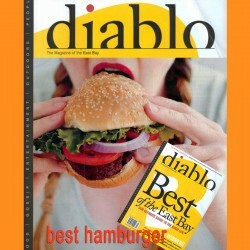 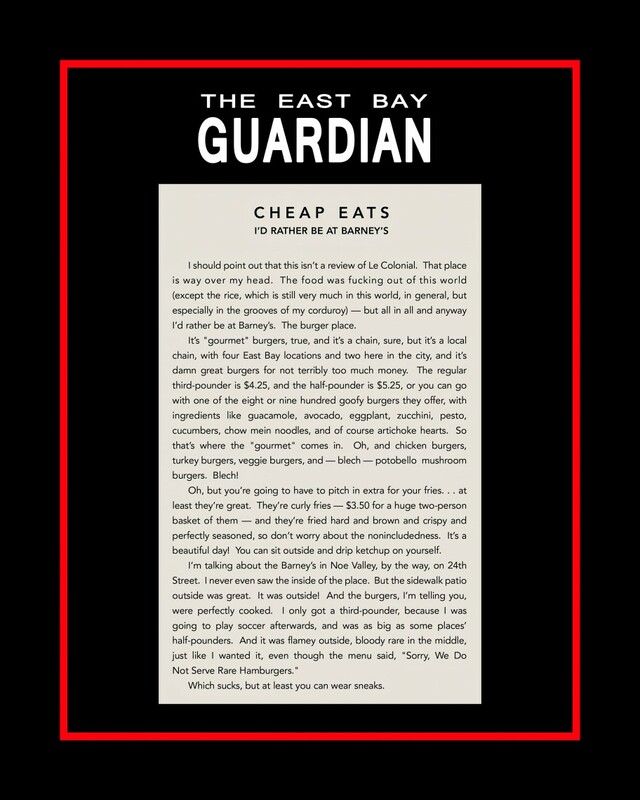 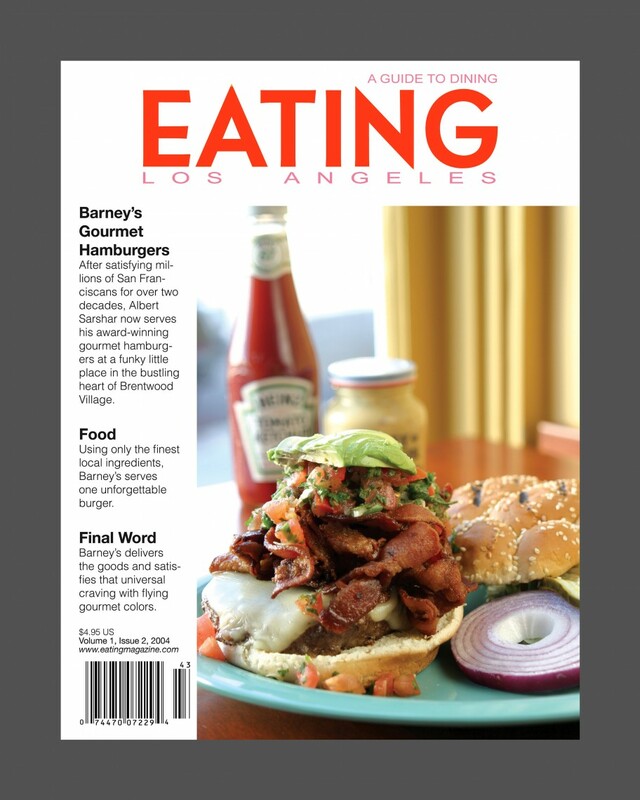 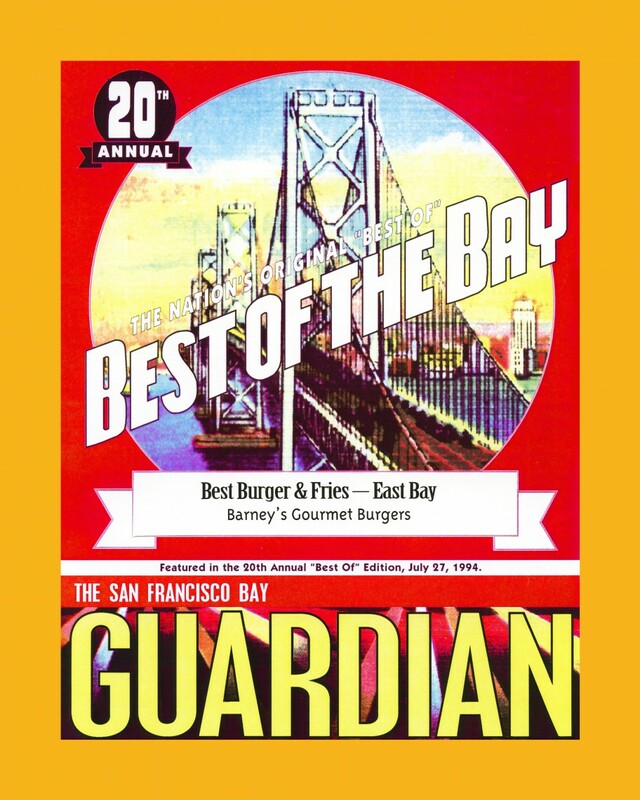 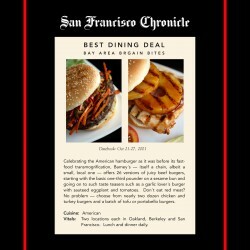 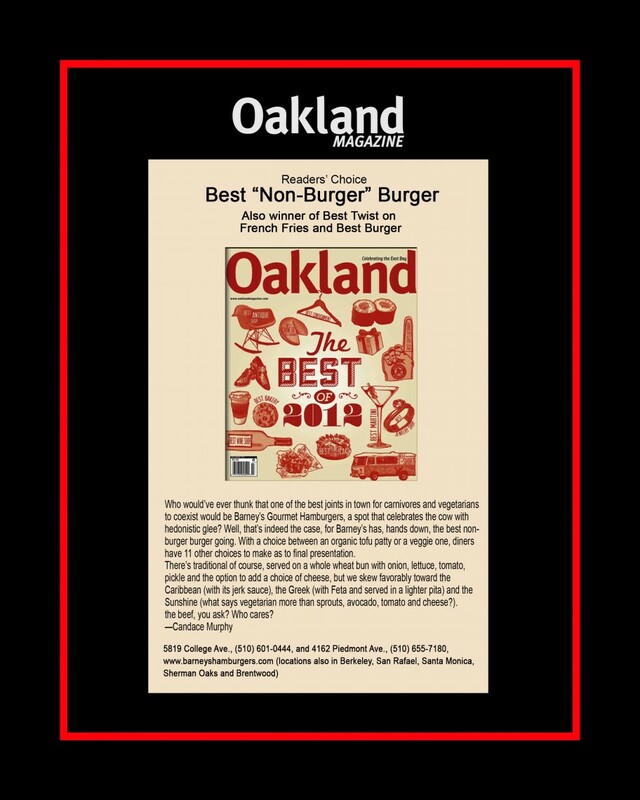 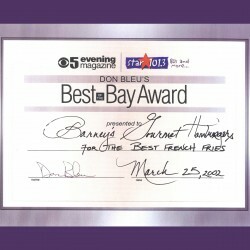 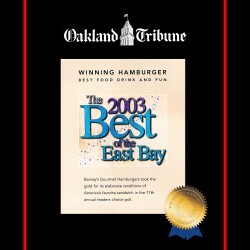 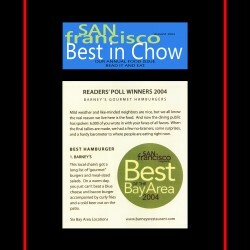 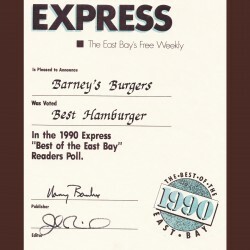 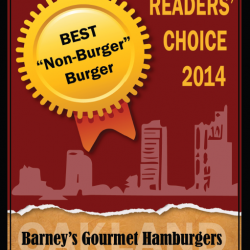 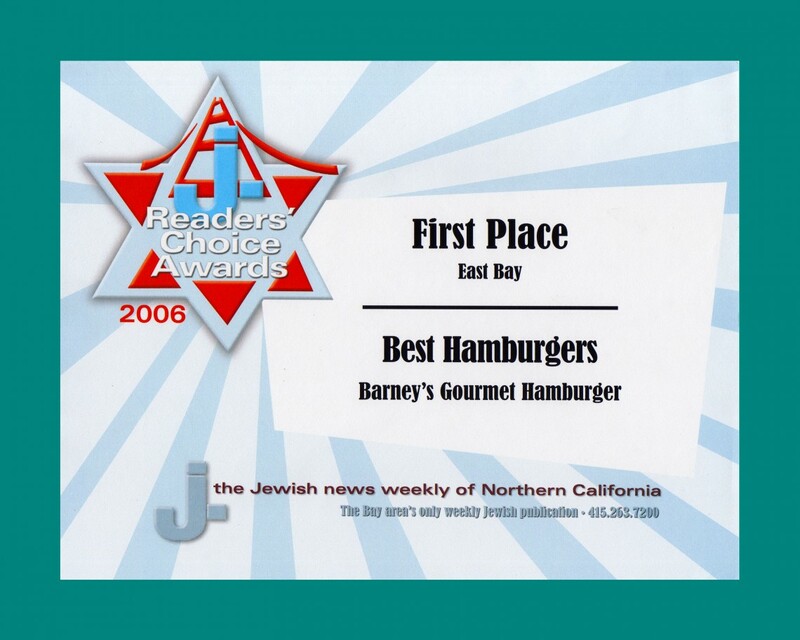 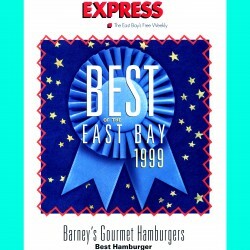 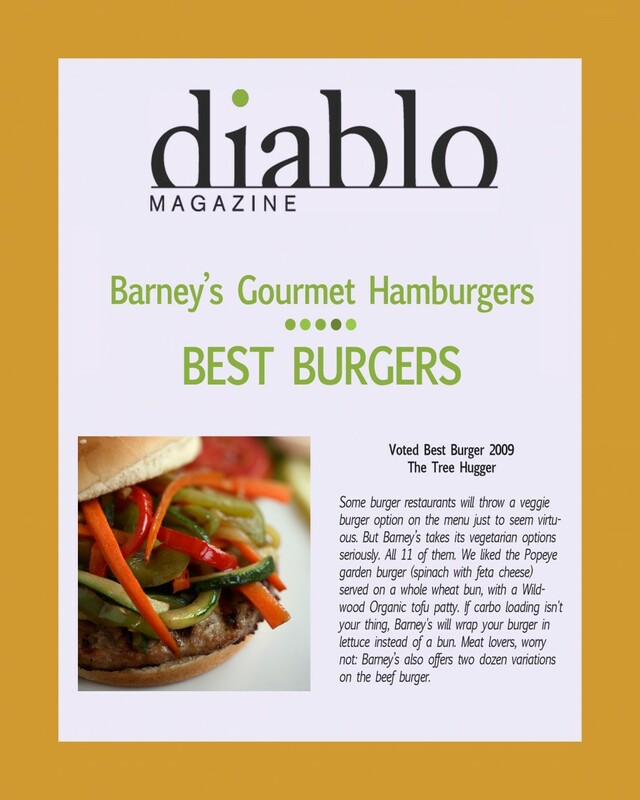 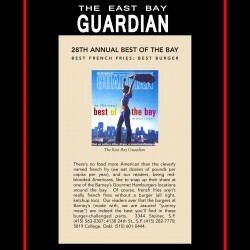 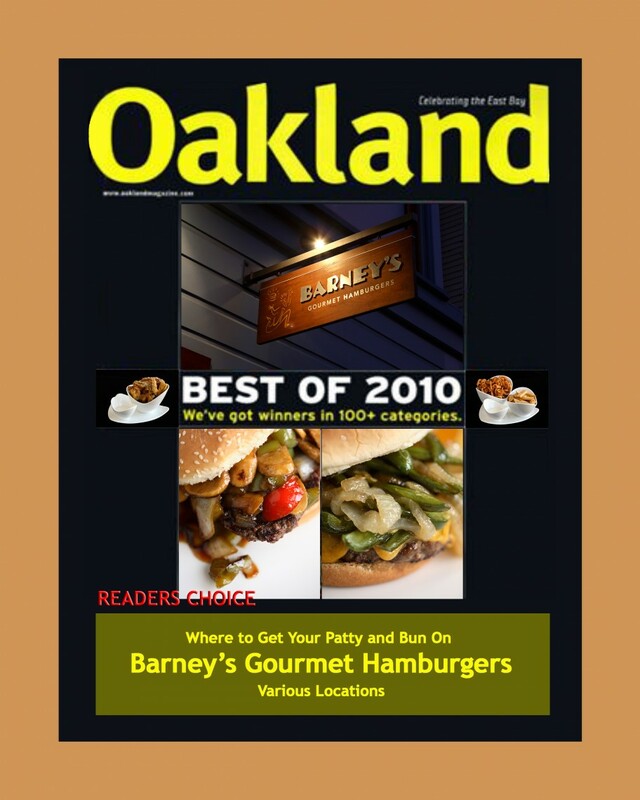 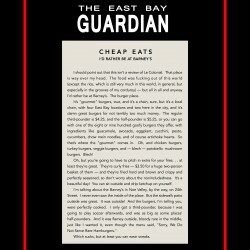 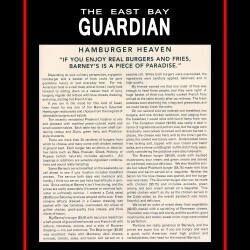 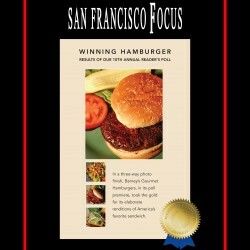 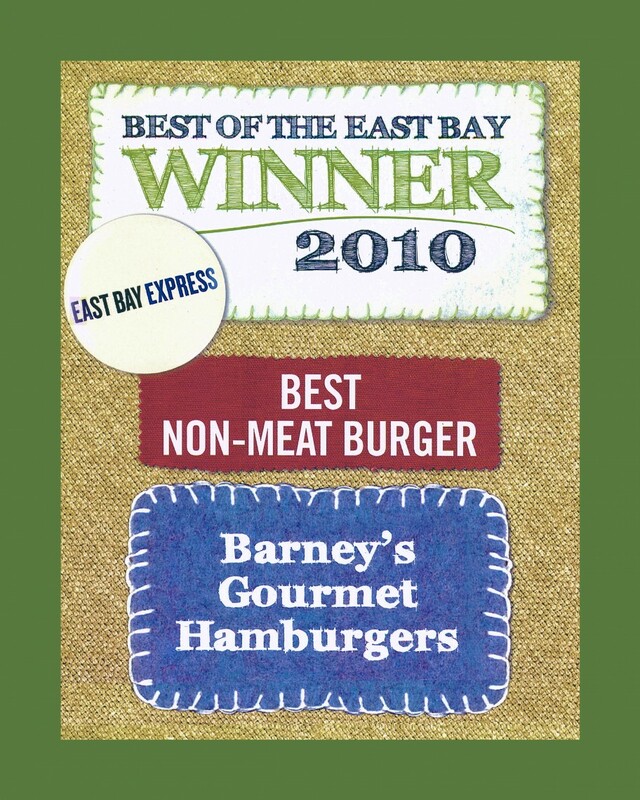 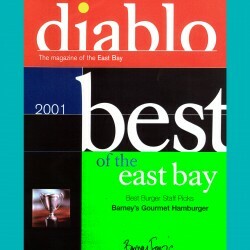 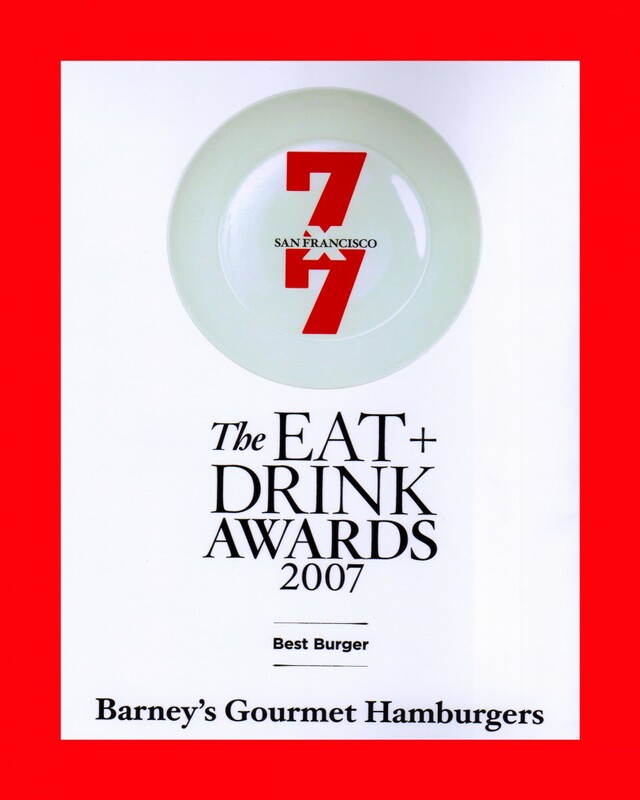 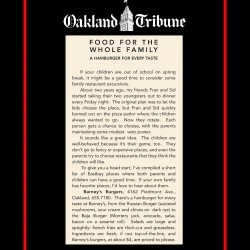 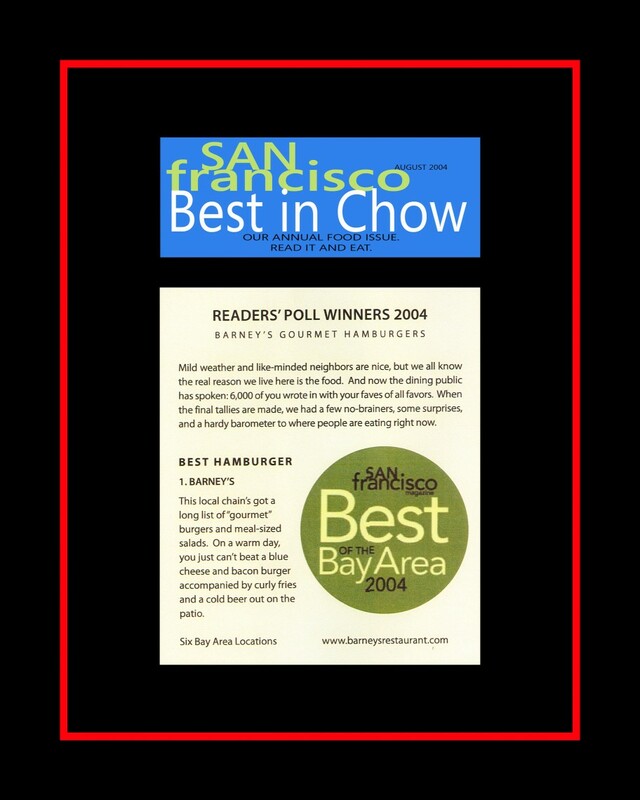 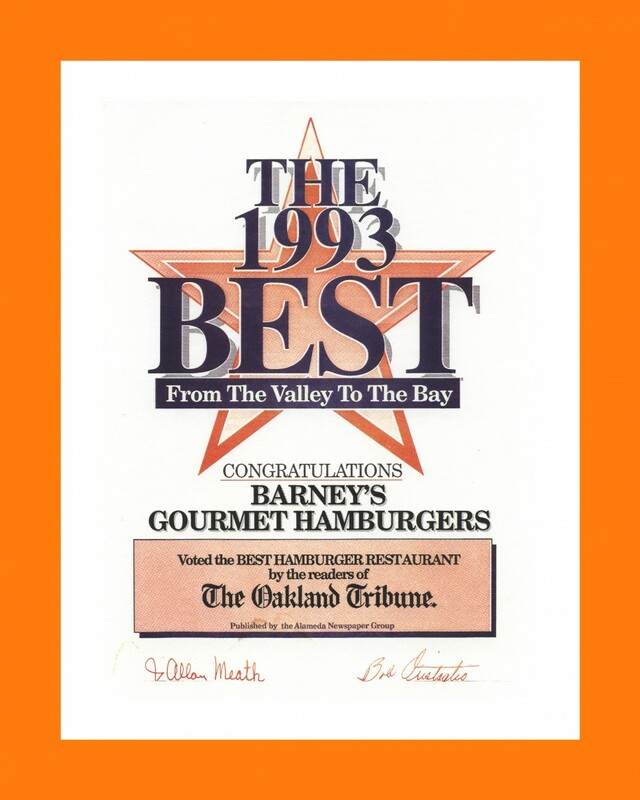 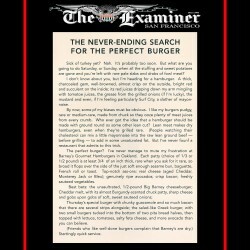 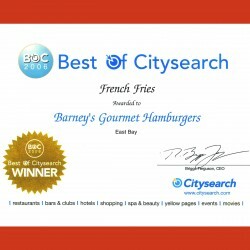 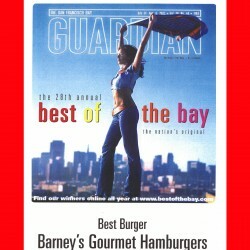 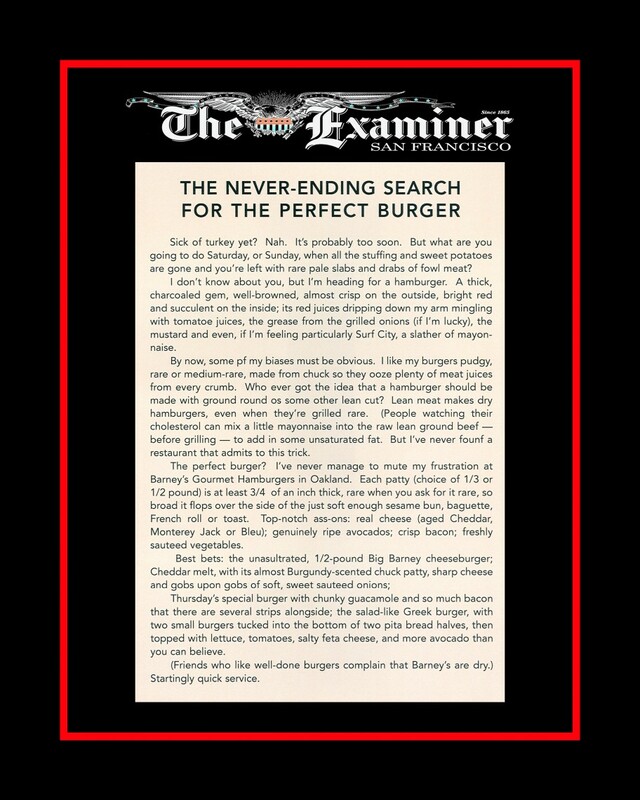 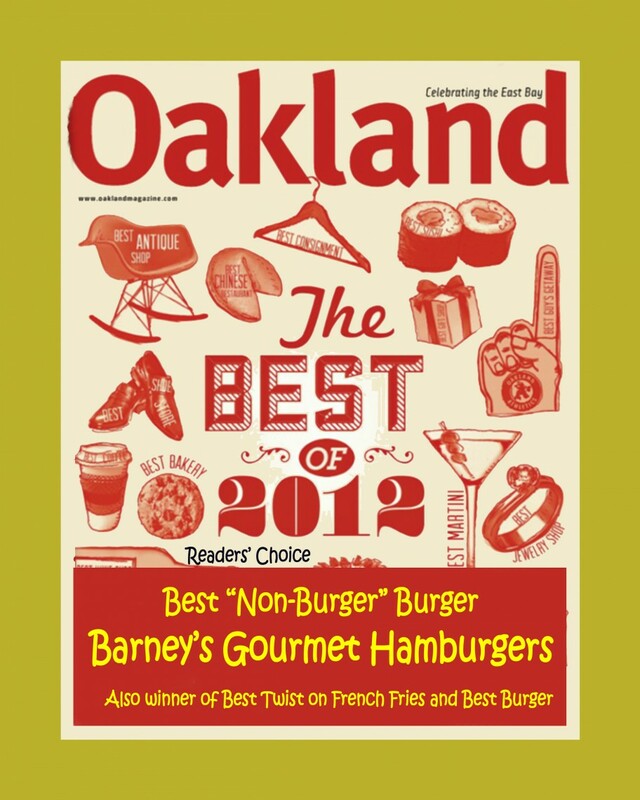 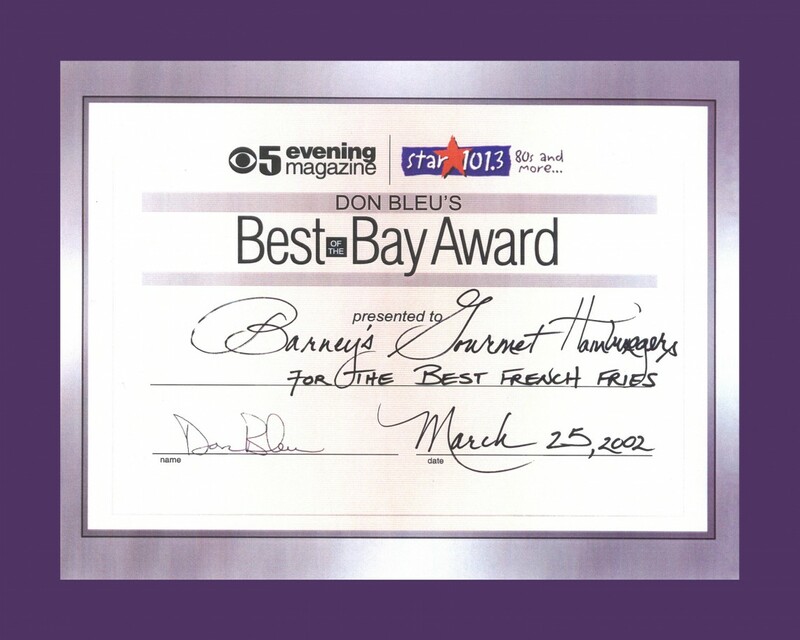 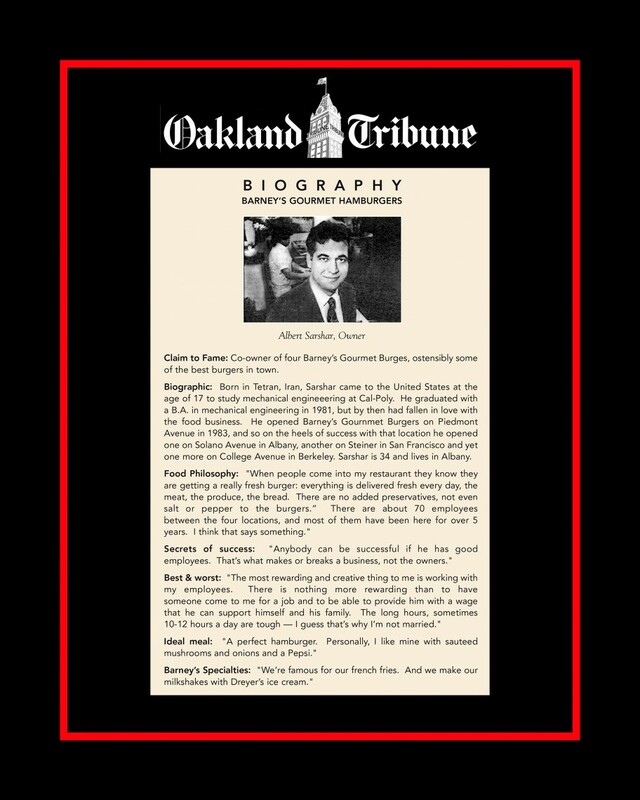 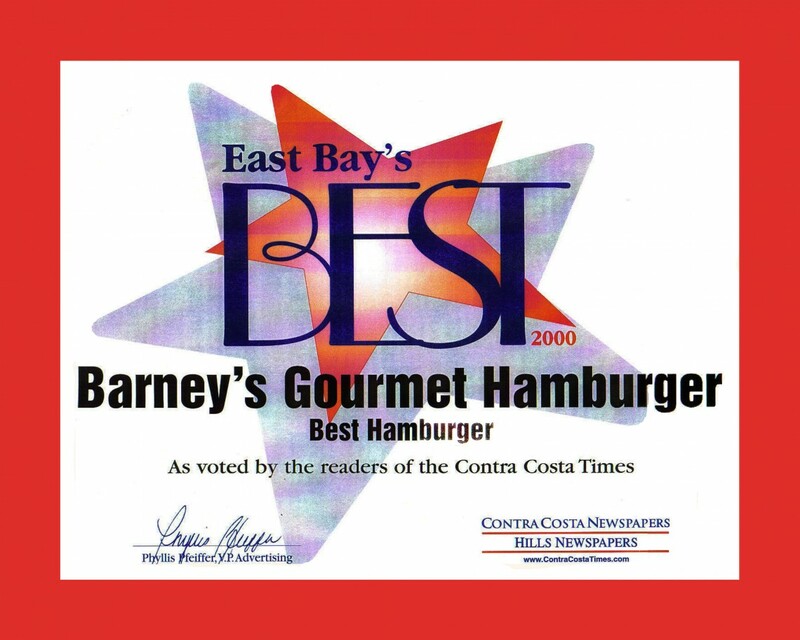 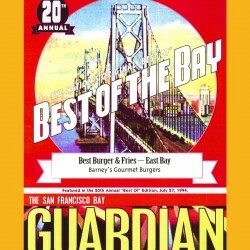 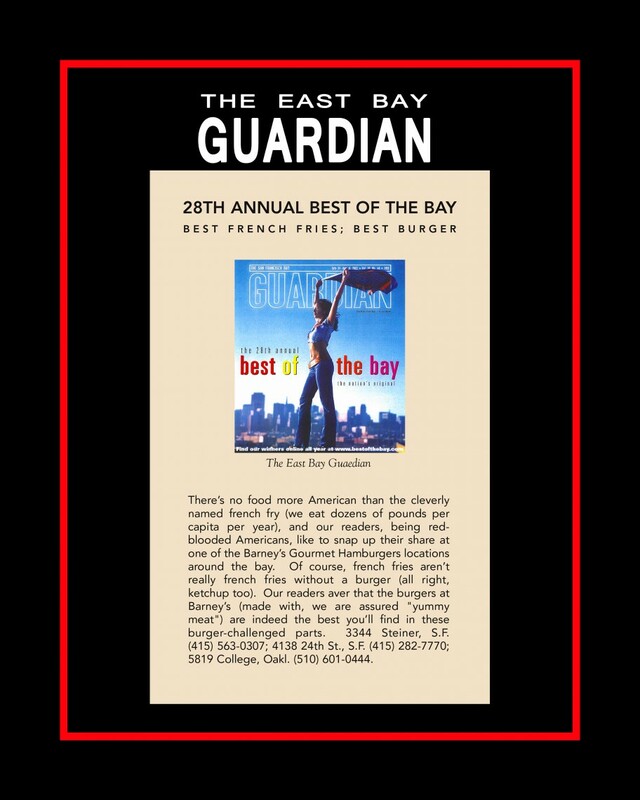 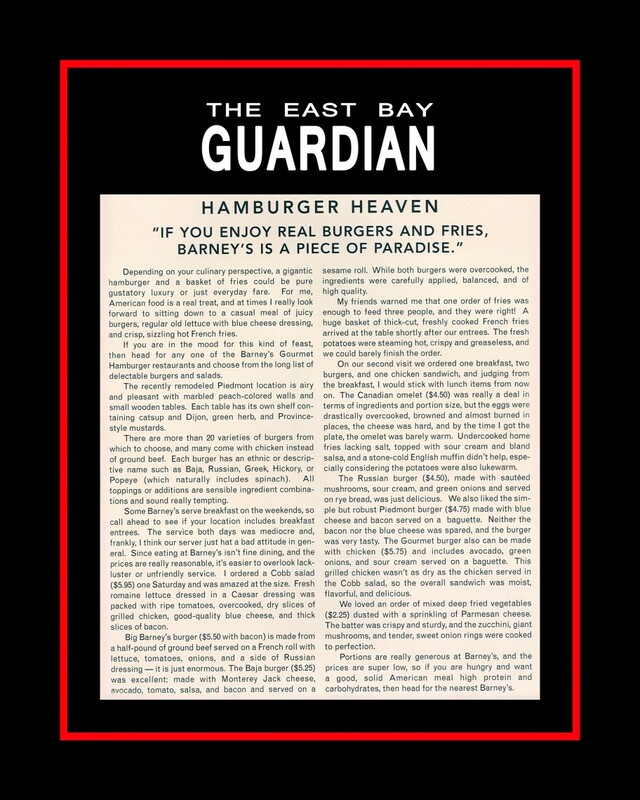 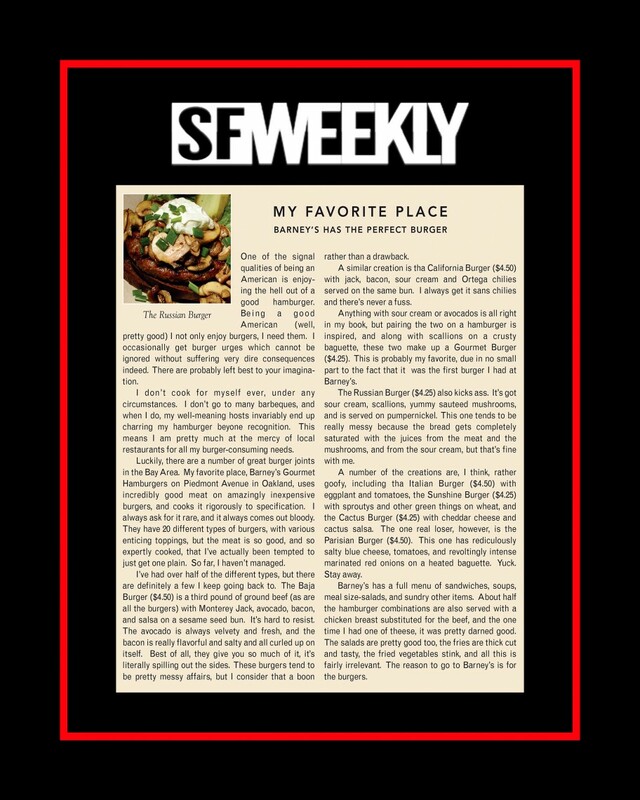 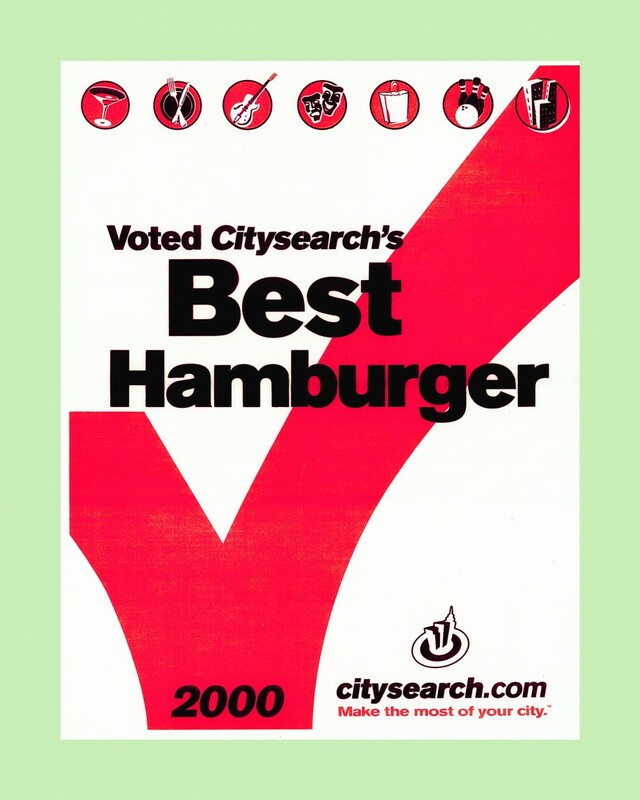 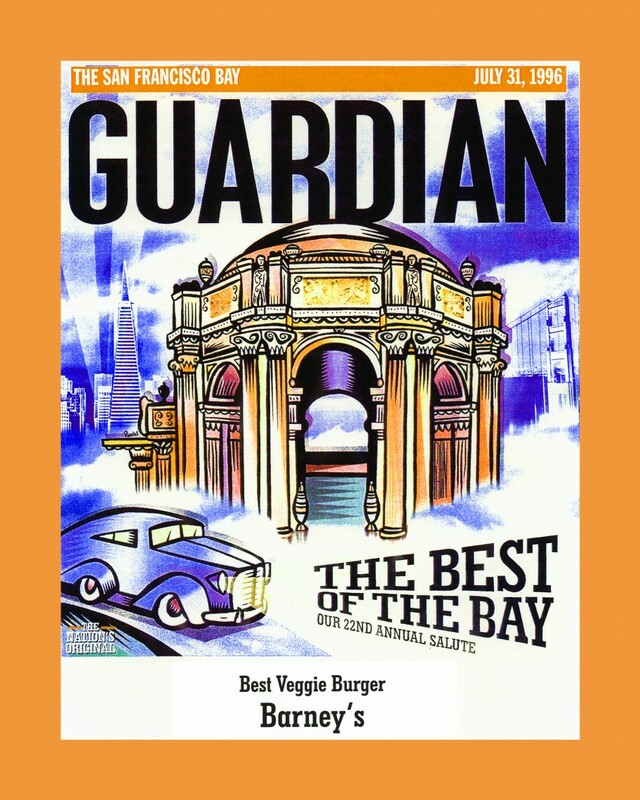 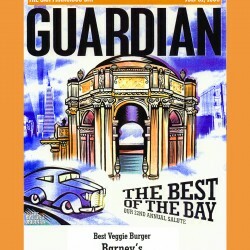 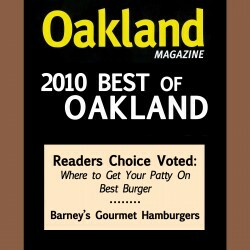 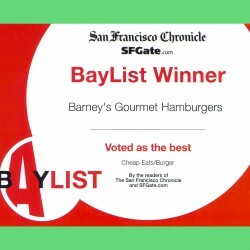 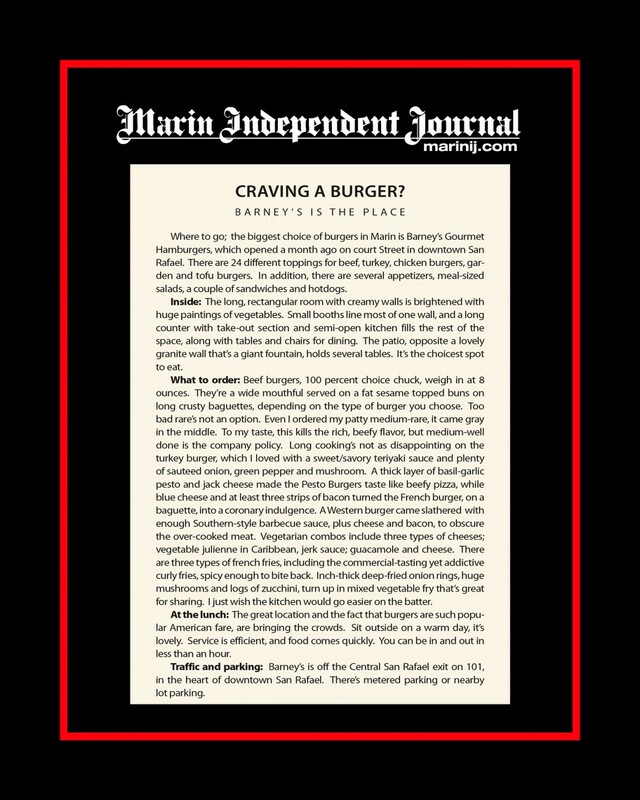 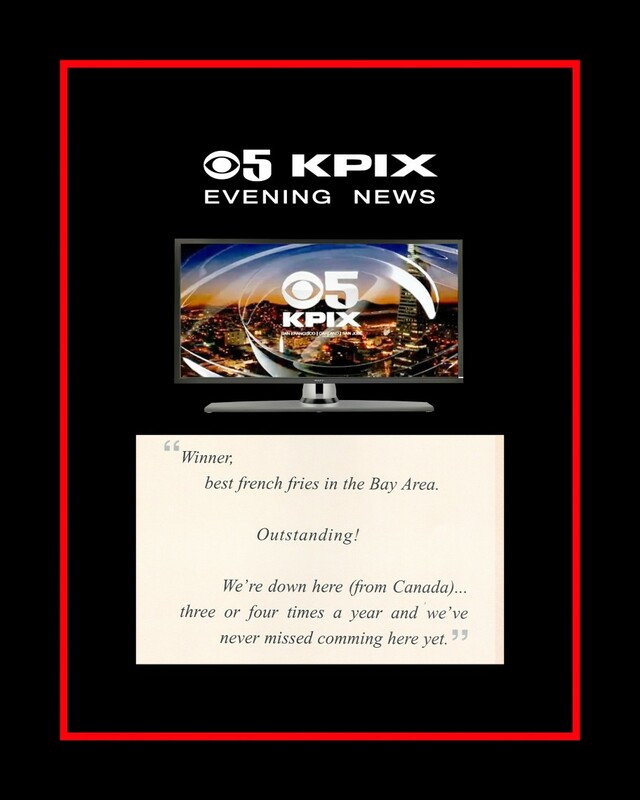 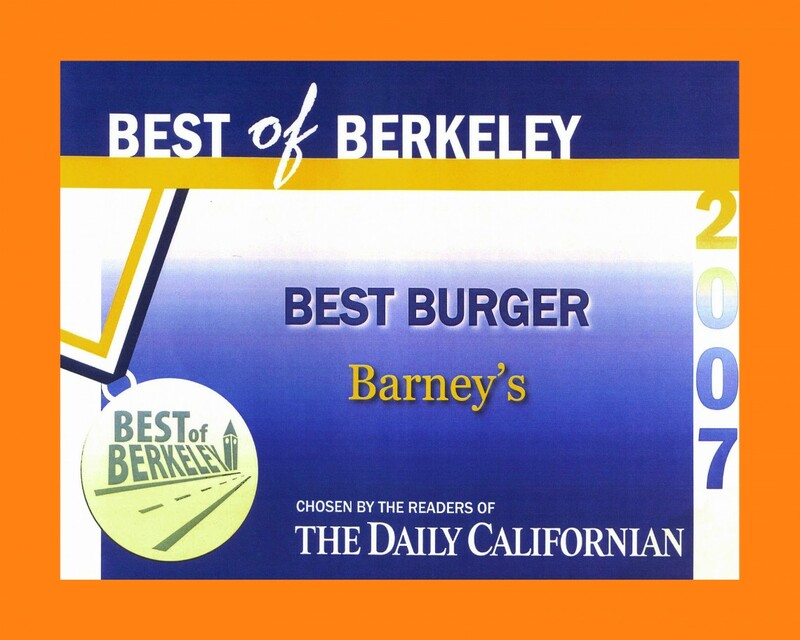 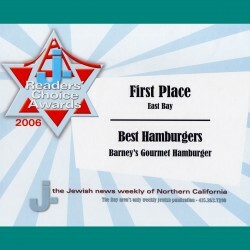 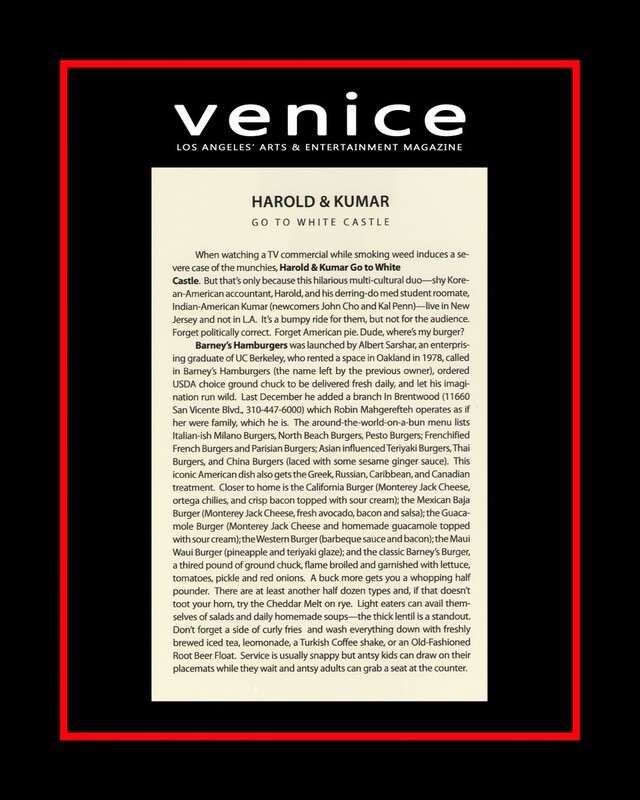 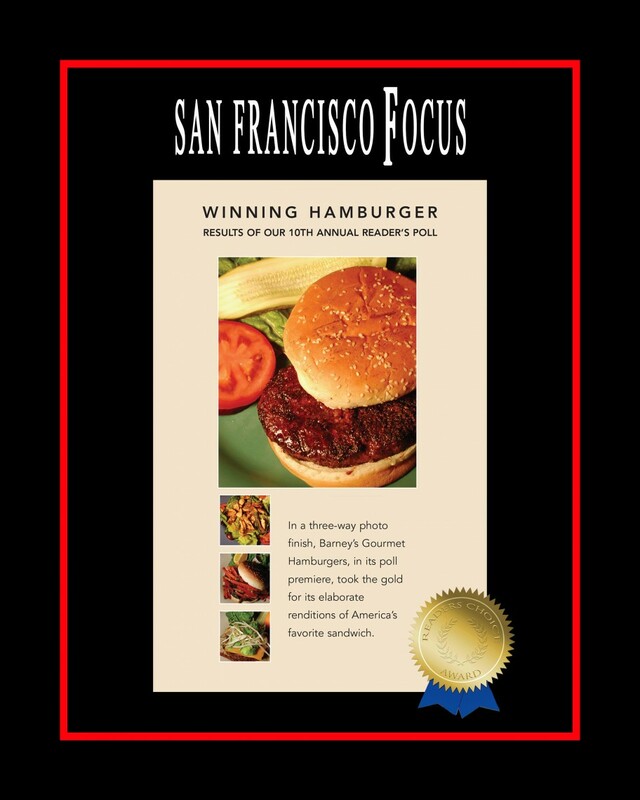 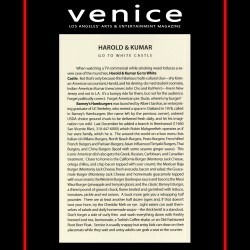 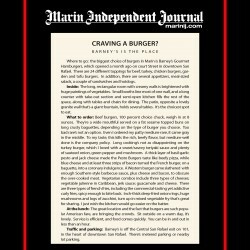 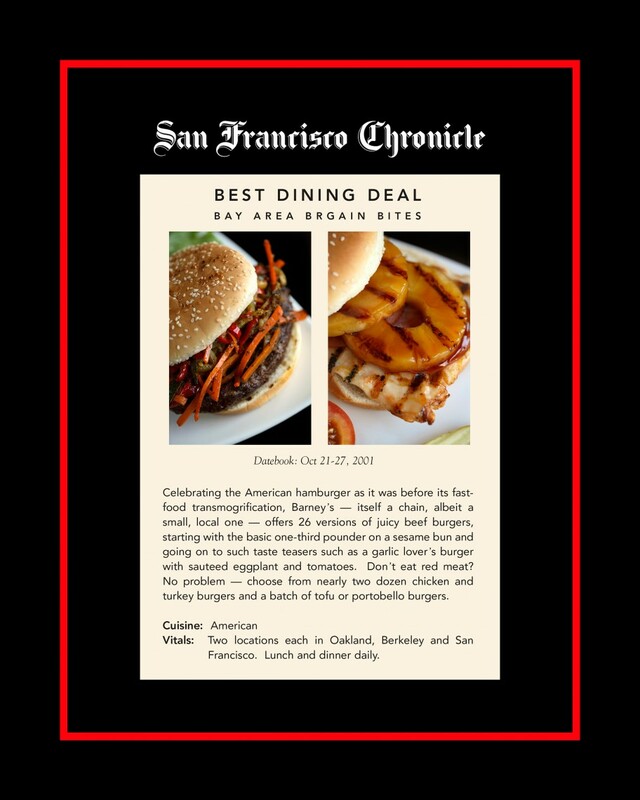 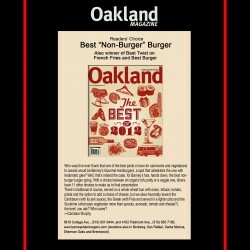 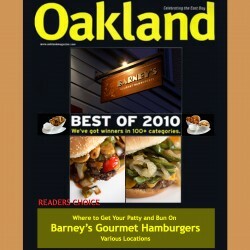 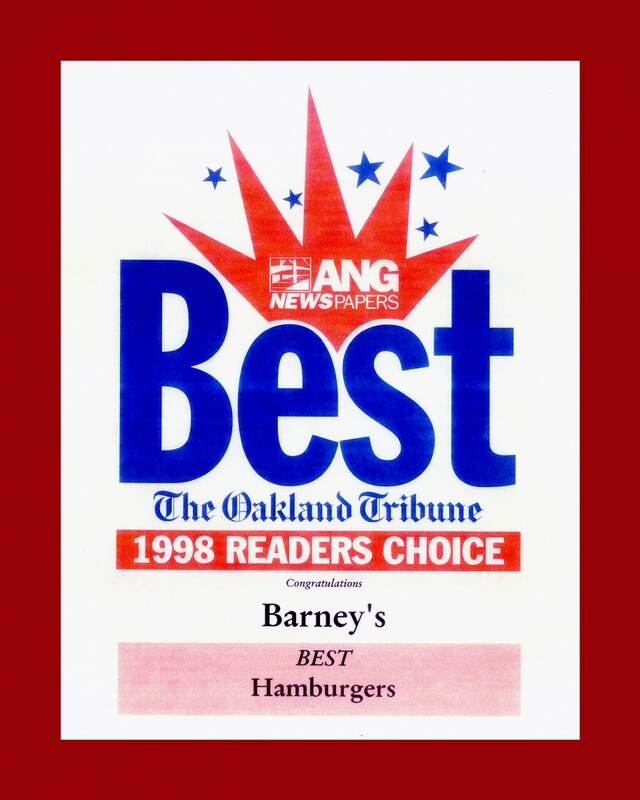 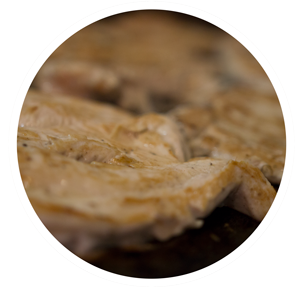 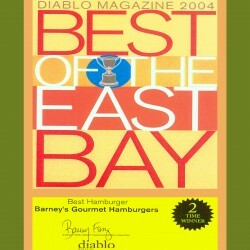 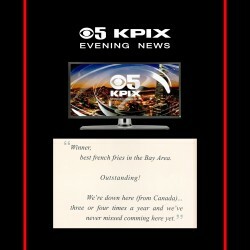 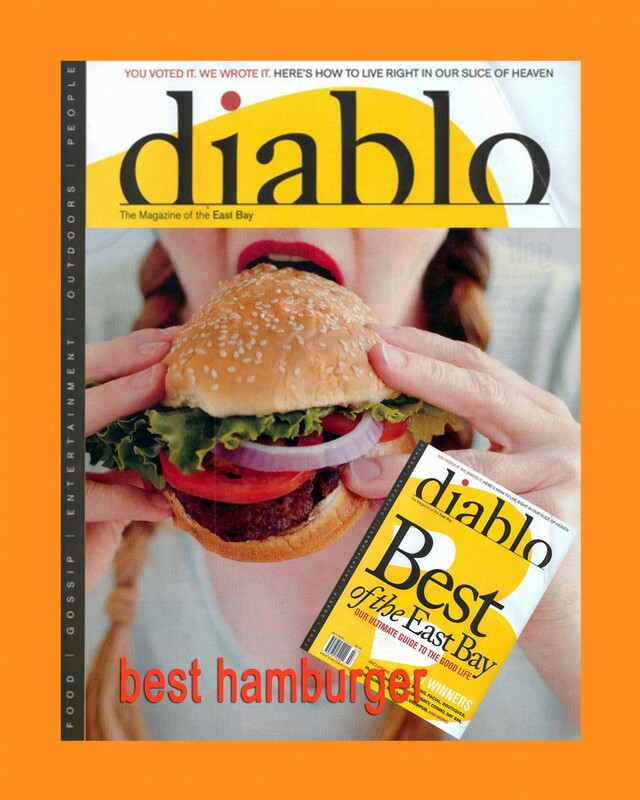 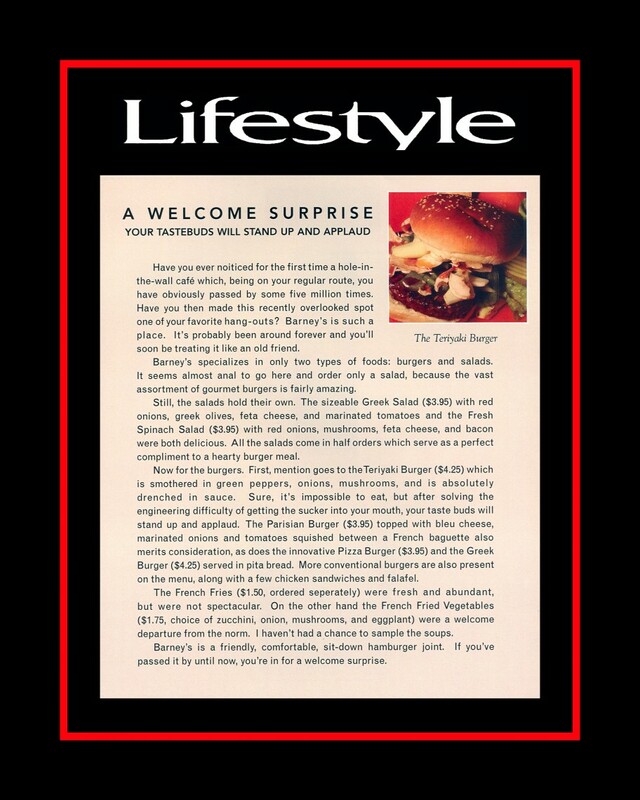 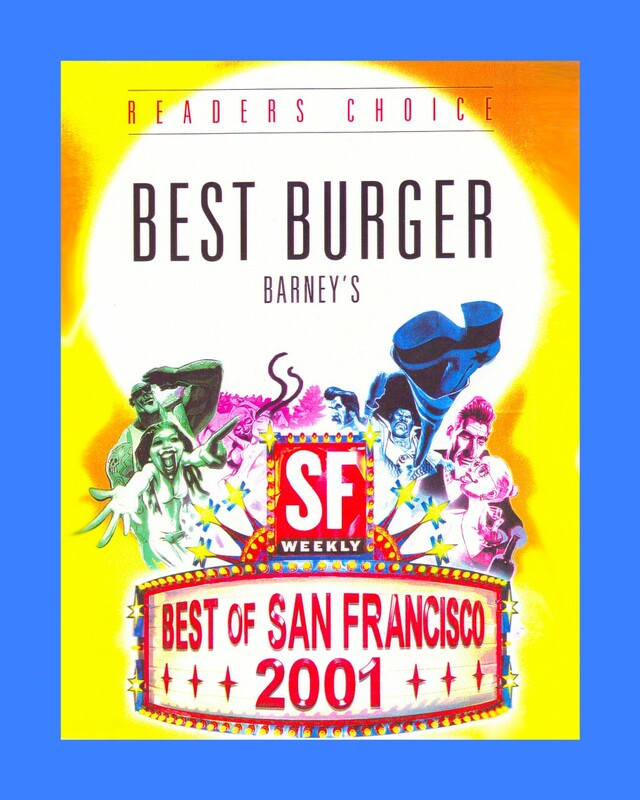 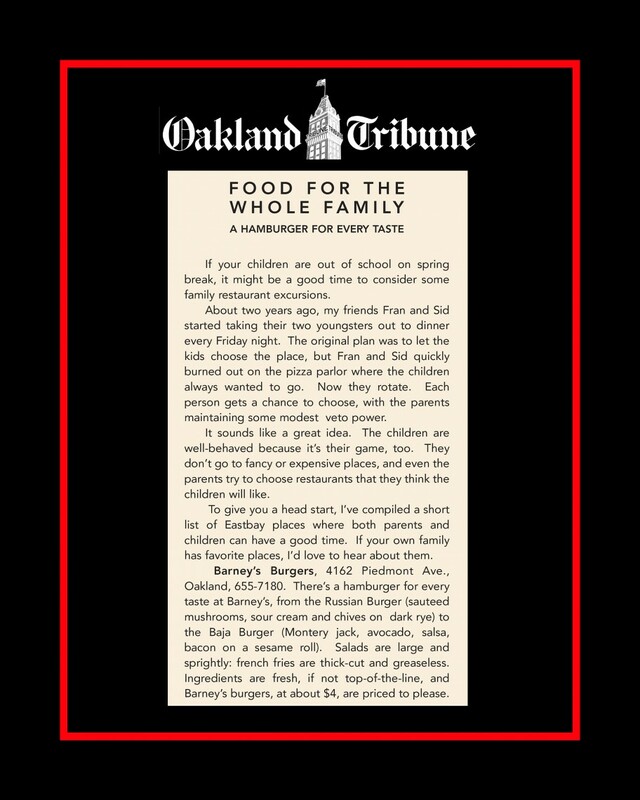 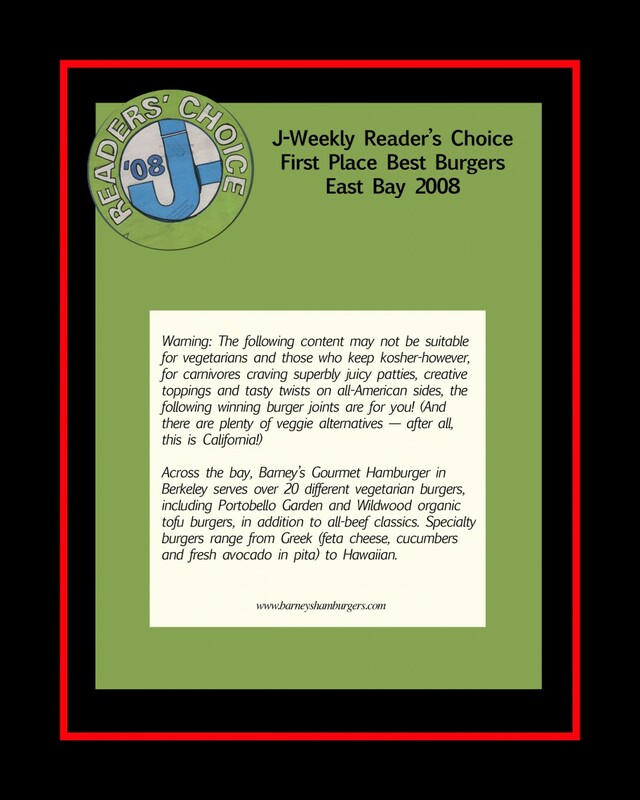 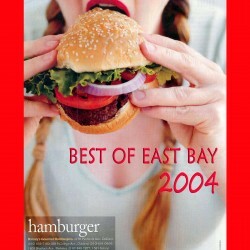 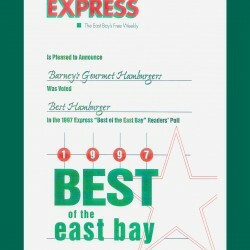 During the last four decades, we've been hailed again and again as one of the best hamburger restaurants in California and in the nation by news channels, magazines, websites, and local organizations. 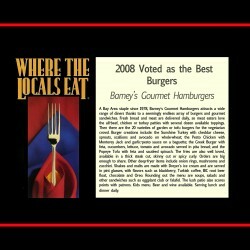 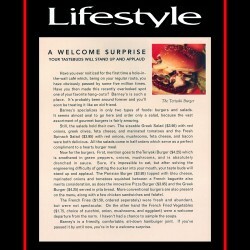 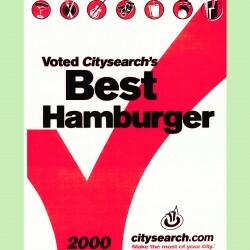 People from every walk of life love our specialty burgers! 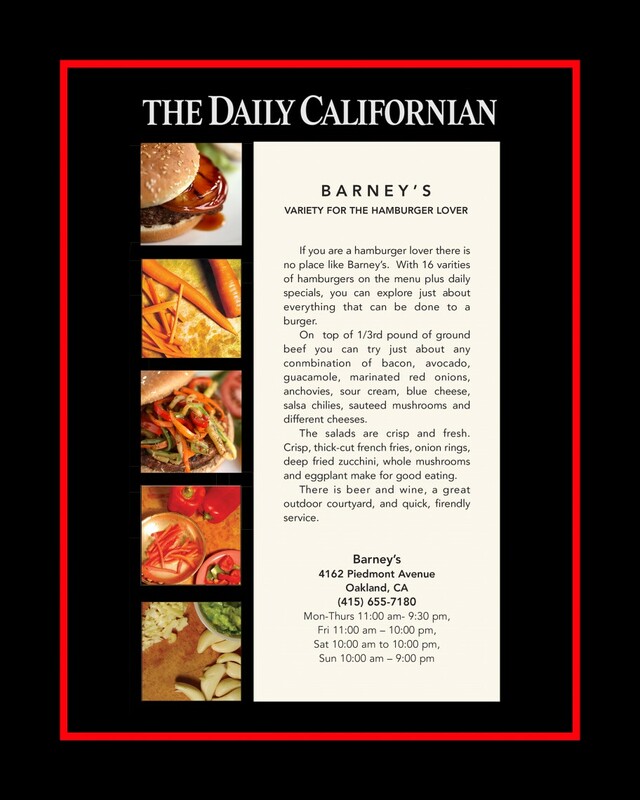 Stop by your nearest Barney's burger restaurant, or have the goodness brought to you with our burger delivery and corporate catering.